Australia has some of the best camping in the world. What’s interesting is a huge number of ‘top spots’ as recommended by those who’ve done a lap of Australia are found in WA. From perfectly white beaches and pristine aqua coloured water through to amazing red rock gorges and stunning rivers, there are a lot of amazing places to enjoy in the west. They say the West is best, and here’s 30 unbelievable camp sites that show just that. We start close to Perth and head down the coast, then head inland and back north. 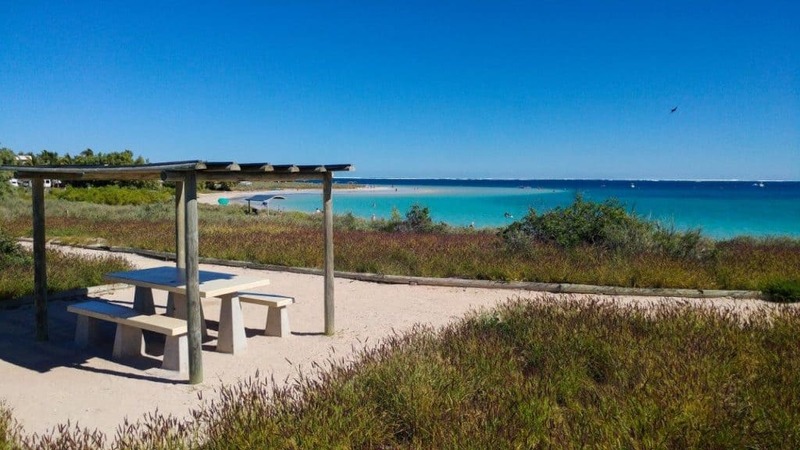 If you want further options, have a read of 7 Fantastic Camp Sites Near Perth and another post; 7 Amazing Camp Sites within 3 – 5 hours of Perth. 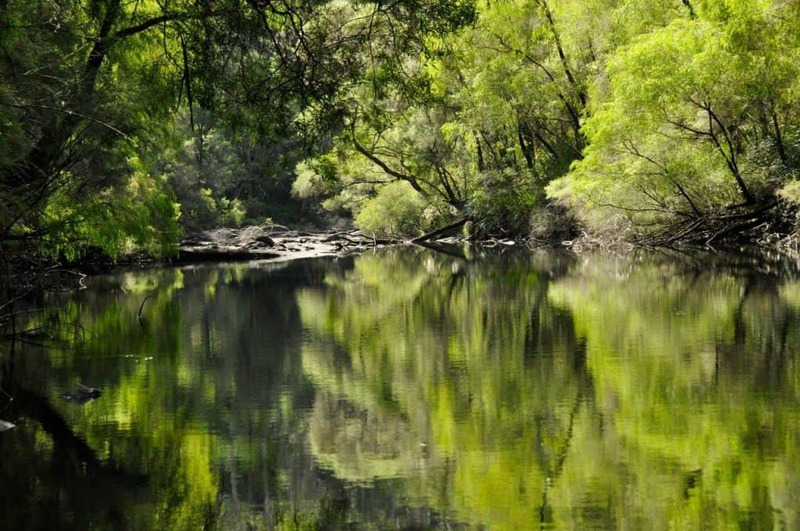 At just over an hours drive from Perth, Dwellingup is one of our go to camping destinations in WA. It’s got you covered any time of year, and has more recreational activities to do than you can poke a stick at. 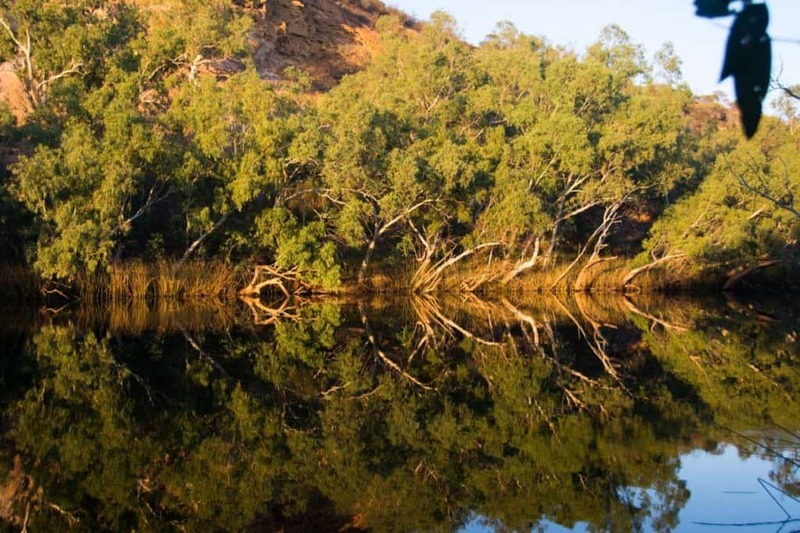 Fishing, swimming, white water rafting, canoeing, rope swings and just relaxing in the Murray River are all very popular. The Munda Biddi Bike trail runs through Dwellingup, as does the Bibbulmun Hiking track. 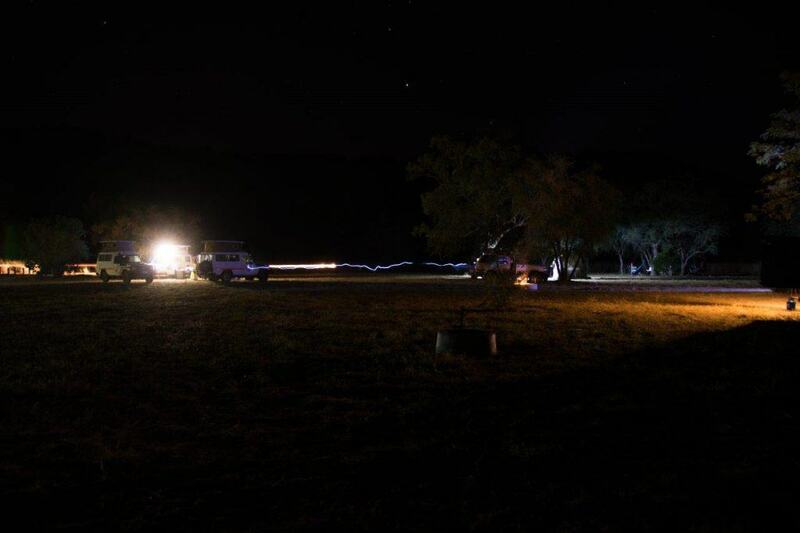 There are numerous 4WD tracks throughout the area, and an adventure ropes course has recently been set up too. There are more streams, rivers and creeks for children to play in than you’ll have time to explore, and the camping is fantastic too. 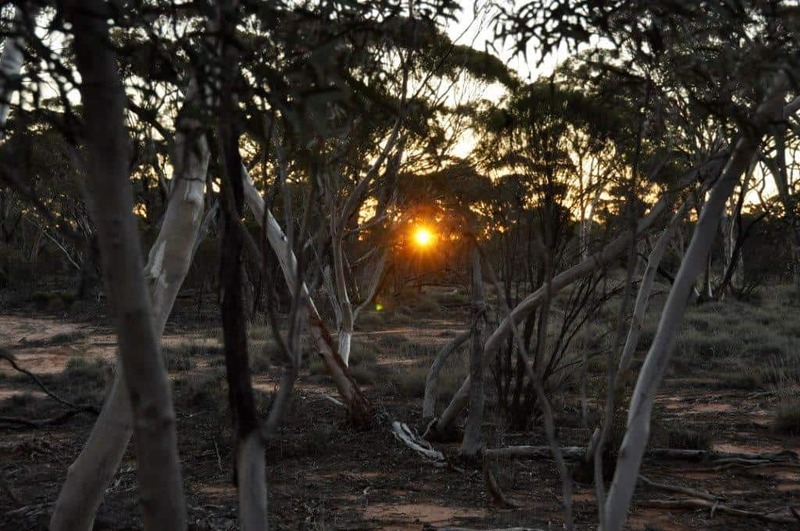 There are numerous locations where you can camp, most of which fall in Lane Poole Reserve, and are managed by the Department of Biodiversity, Conservation and attractions (DBCA, previously known as DPAW). Majority of the camping requires online booking in advance, although Nanga Brook is still first come first serve. Some sites are small and private, and others are large and open. The sites suit everything from swags to Caravans and in between. Access to Lane Pool Reserve can be done with all types of rigs, but there is some gravel driving to do inside the Reserve depending on where you visit. If you are open to exploring, there are a few places that you can camp which are free, but I won’t go further into it than that! Camping fee’s normally range from $8 to $11 per adult per night, with a $13 vehicle access pass if you don’t have a WA National Parks Pass. 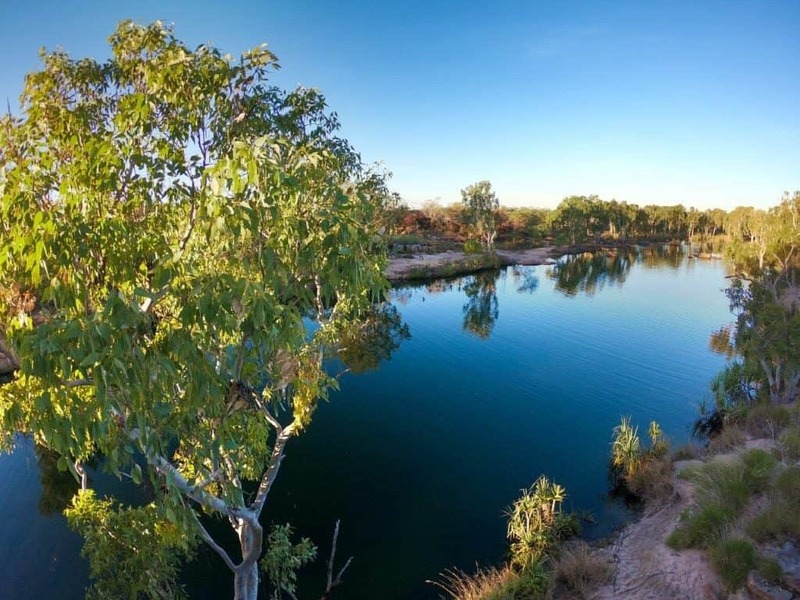 There are a number of Dams in WA that are used for irrigation and water sports. 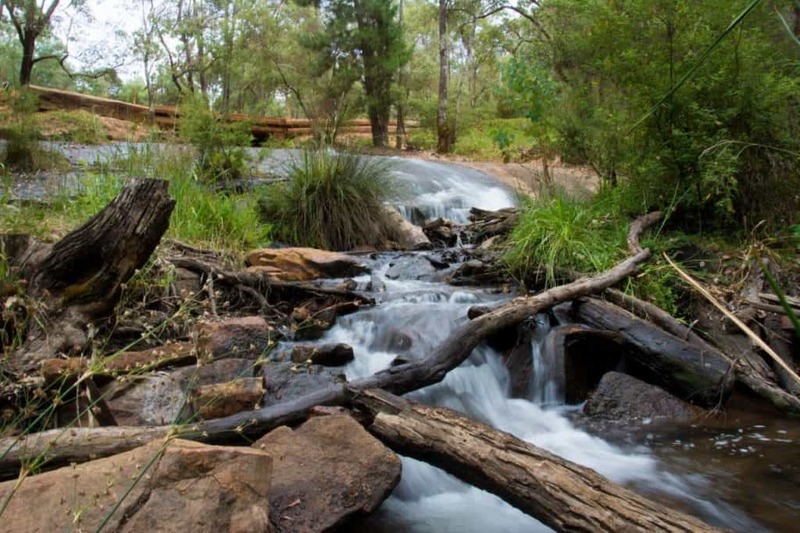 Waroona is not far from Perth, and is a fantastic place for a weekend away from the big smoke. It’s super picturesque, and offers a range of camping locations not far from the dam itself. 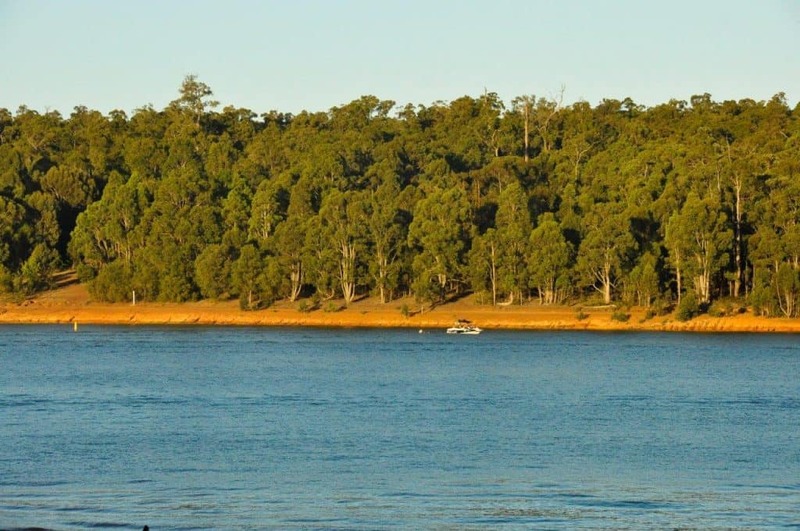 Waroona Dam is sometimes referred to as Lake Navarino, but they are one and the same. Water skiing is extremely popular here, along with fresh water fishing, 4WD tracks and just watching the world pass by. 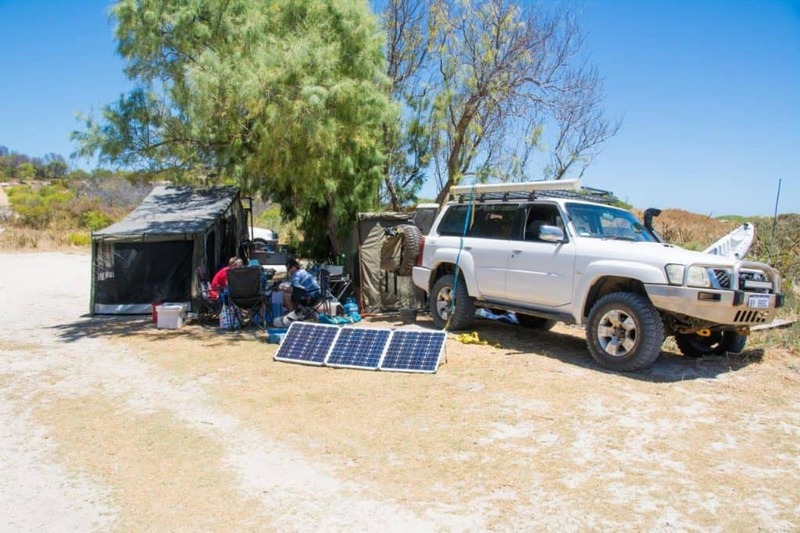 Access is possible for all types of rigs, including Caravans and busses, but to get right on the edge of the Dam you want a vehicle with some clearance; a 4WD is ideal. 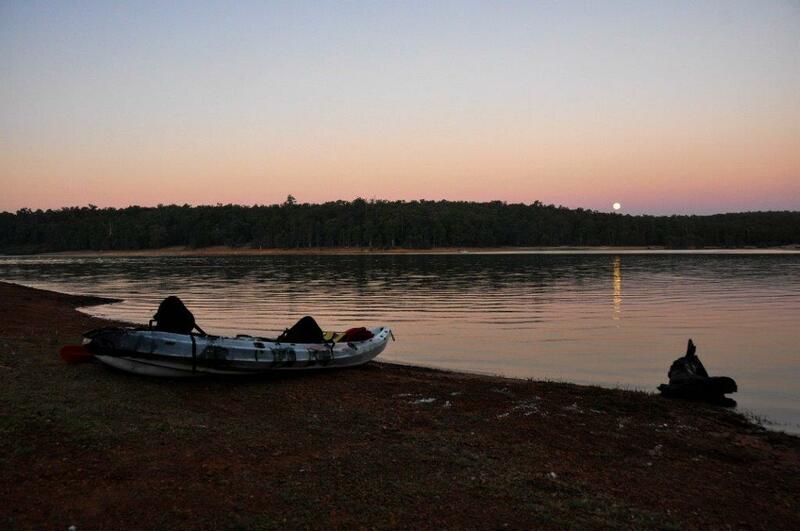 Camping can be had at Lake Navarino Holiday Park in either powered or unpowered, or you can camp near the lake on unpowered sites. 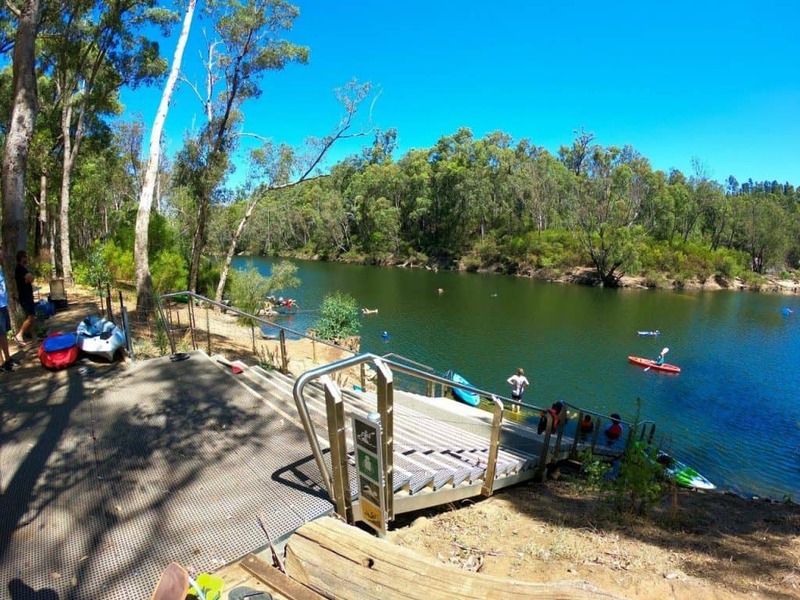 Pricing ranges from $10 per night for an adult for a lakeside spot to $38 for a powered site with two adults at the Caravan park. Waroona Dam is not a National Park. 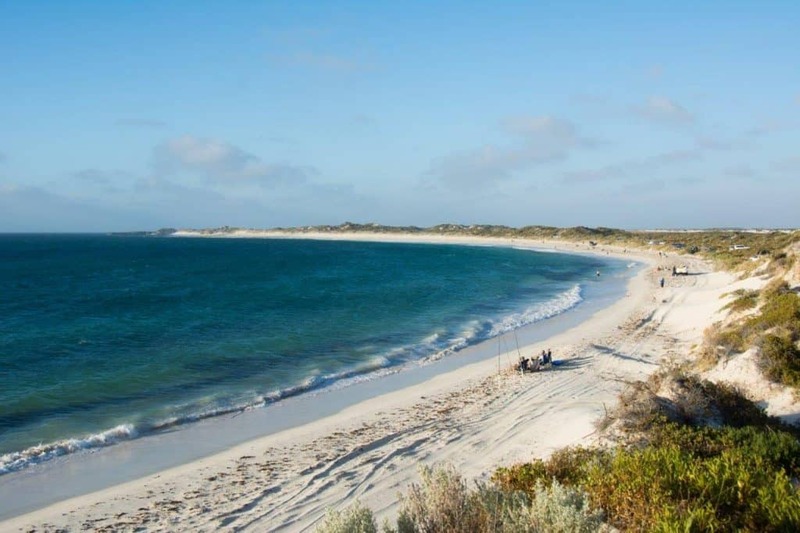 Sandy Cape is the closest legal ‘beach camping’ north of Perth, that isn’t a Caravan Park. 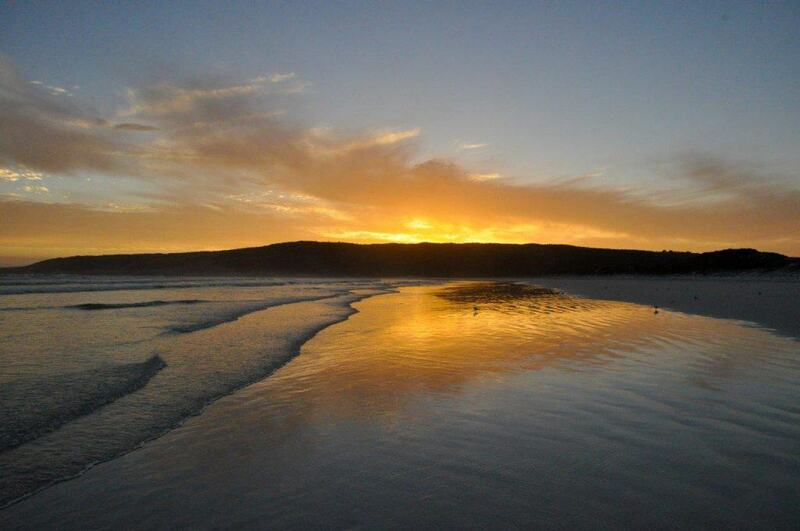 It’s a hugely popular spot of coastline that runs several kilometres north and south of the main camp ground. For the main part of the camp ground, access is suitable for all sorts of rigs including Caravans, motorhomes and busses. 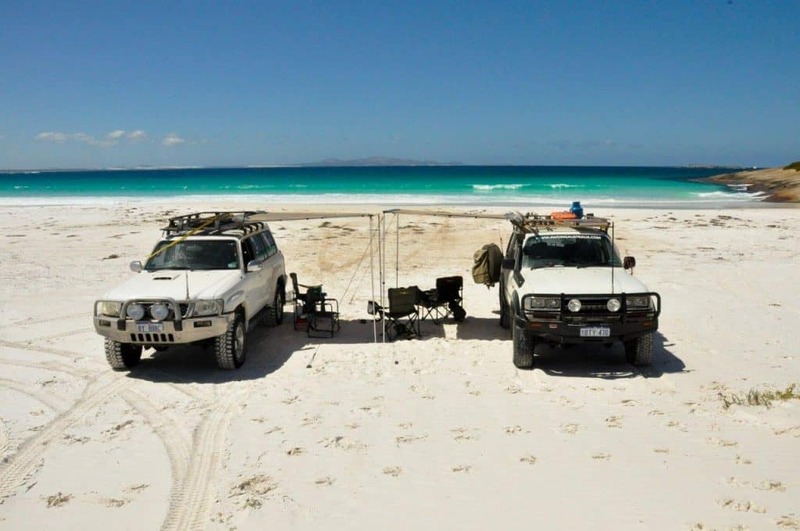 If you head further north or south though, you need a 4WD as the tracks are sandy, narrow and soft. There’s fantastic fishing and diving, with lots of great reef to explore. Camping fees are $20 for 2 adults and 2 children on one campsite, with an extra $3 per night and additional children $2 per night. There are a number of toilets around the place, a dump point on your way in and non potable water taps. This does not require a National Park Pass. 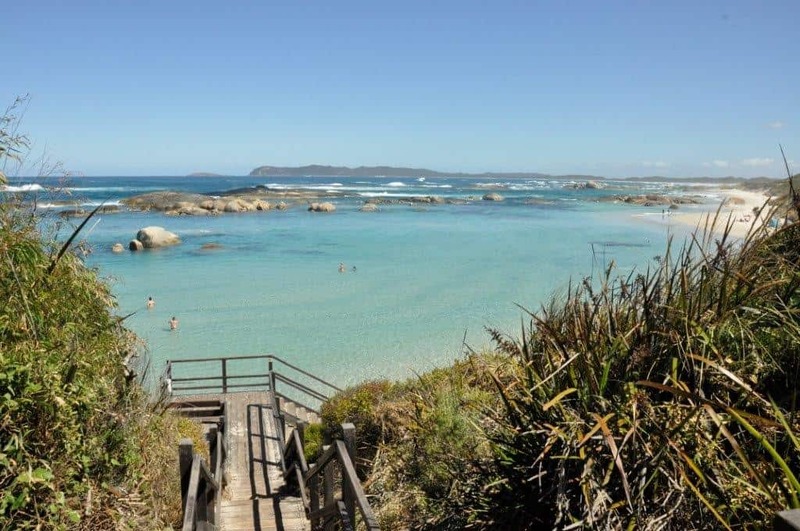 One of the most highly rated areas in Australia is Margaret River, and for good reason. 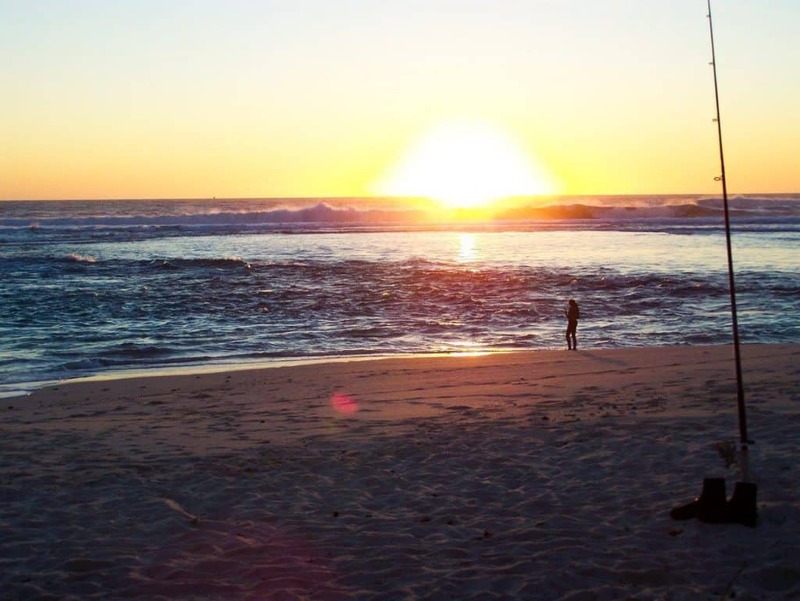 It’s got amazing beaches, world class surfing, beautiful caves, food and amazing local produce. It’s also located amongst a beautiful forest, and is truly beautiful. Up until recently, camping outside of Caravan parks in the area has been somewhat limited. 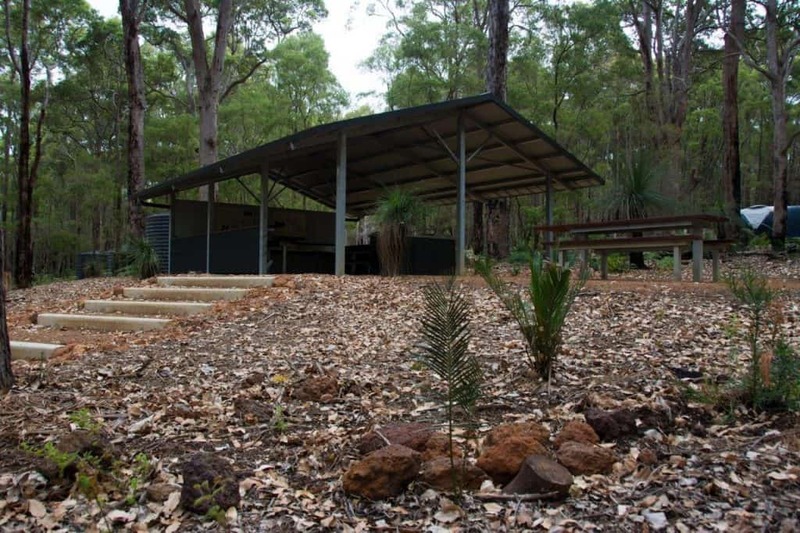 Jarrahdene is the DBCA’s newest camp ground nestled in the forest, and its a great place to stay. Bookings must be done online, prior to arrival. It’s got some nice camp kitchens, very well maintained toilets and lots of different sized sites. Camping is $11 per adult, per night. 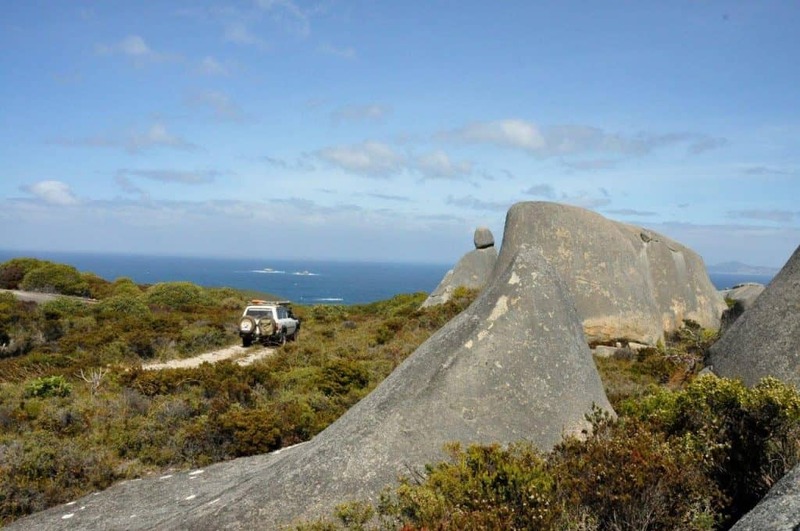 There are lots of magic 4WD tracks in the area, which you can check out here – Margaret River 4WD Tracks. It’s almost half way between the beautiful Hamelin Bay with the stingrays and Margaret River itself. There is no requirement for a parks pass here. 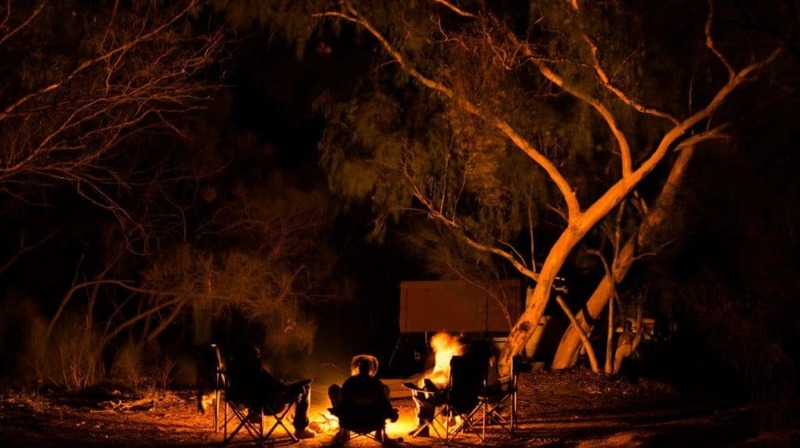 You can read more about Jarrahdene here – Jarrahdene; brilliant bush camping in the south west. There are some truly unbelievable camping spots around Pemberton, and two brilliant spots are located on the Heartbreak trail. The Warren, and Drafty’s are both beautiful places to spend a few nights along the Warren River. Pemberton has a lot to do, including climbing the 3 big fire trees, exploring the incredible Warren River by canoe, bush walking and enjoying the little town itself. The Warren and Drafty’s are both run by the DBCA, and are very quiet and peaceful. At $8 per adult per night, its pretty good value. They have toilets, and Drafty’s has a great camp kitchen. 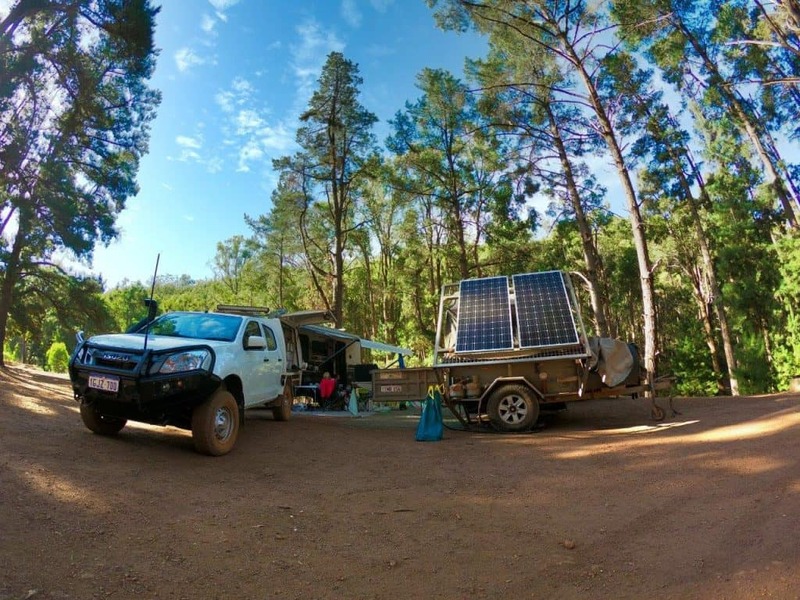 If you want to know more, have a read of this – Warren River Camp Ground. 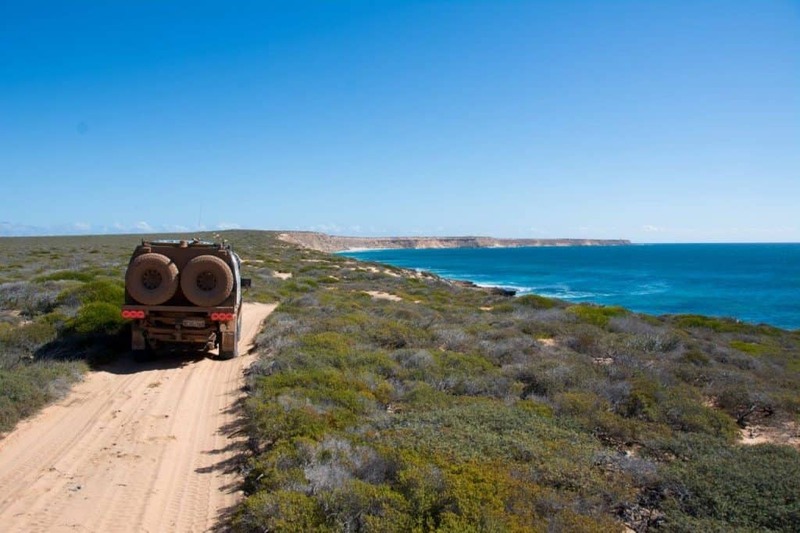 If you have a 4WD, and want to see some of the amazing coastline in the south west, Yeagarup is a great adventure. 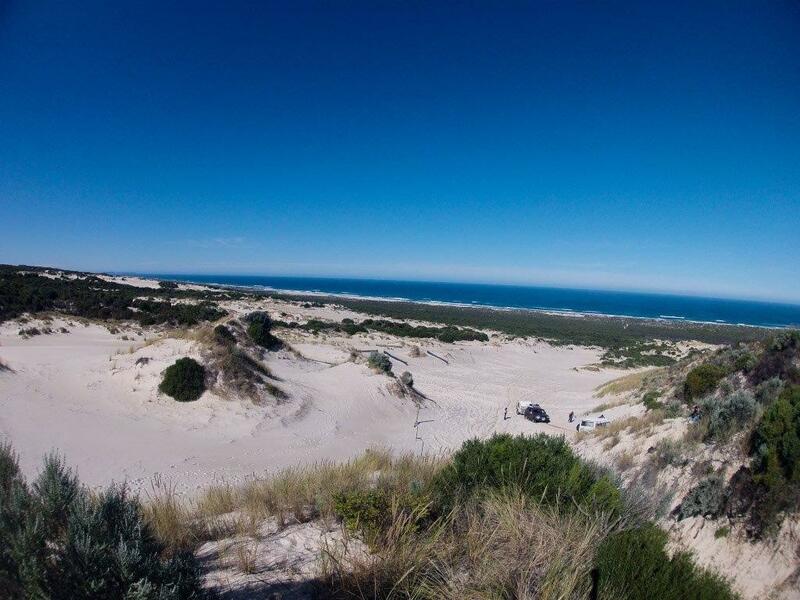 Home to one of the largest dunes in the southern hemisphere, a 4WD allows you to drive right down onto the beach. The area is absolutely beautiful. The access fee is $13 unless you have a National parks pass, and you can camp at Leaning Marri (8 per night, not bookable in advance) or Yeagarup Hut (a very unique DBCA site, which must be booked through Pemberton Discovery Tours). I’ve been told camping on the beach at Yeagarup is not permitted (by DBCA themselves), even though its very common practice. If you are heading to Yeagarup, make sure you really understand the importance of tyre pressures; it can be very soft! 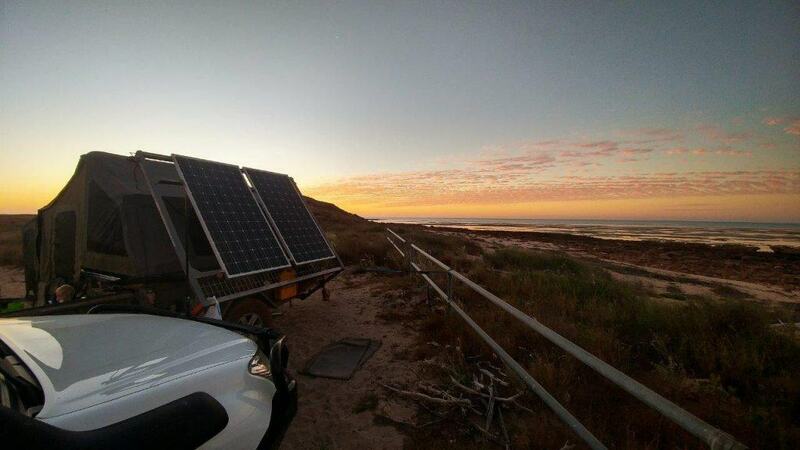 You can read more about it here – Yeagarup by 4WD. 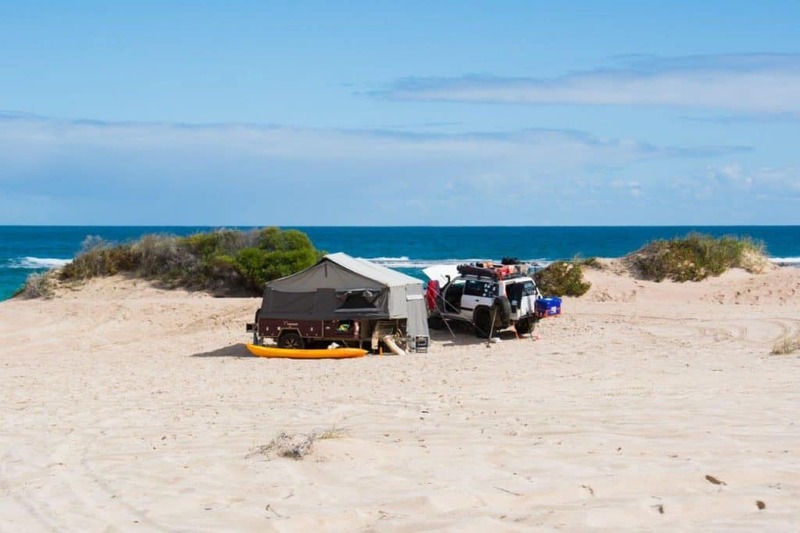 Heading further south, Parry Beach is an amazing camping spot under the peppermint trees, not far from the waters edge (and lots of other amazing attractions). The camp ground is run by the shire of Denmark via volunteers, and its fantastic. It has solar showers, flushing toilets, BBQ’s, phone reception, dogs allowed and you can have fires, in season. Pricing is $17 per night for two adults, with some discounts if you stay longer. Access can be done with any vehicle, but there are some height restrictions as the peppermint trees are not very tall. If you have a big van, bus or motor home its worth making a call before you go! This is a commercial salmon fishing area, and if you are lucky you might get to see a huge haul of salmon being caught! You can read more here – Parry Beach, in between Walpole and Denmark. The southern ocean can be ferocious, and finding the beautiful Waychinicup Inlet is well and truly worth it. The inlet is calm and offers good fishing. The camp site here has a number of small sites, which rules out Caravans and most camper trailers. It’s also run by the DBCA, and priced at $8 per adult, per night. 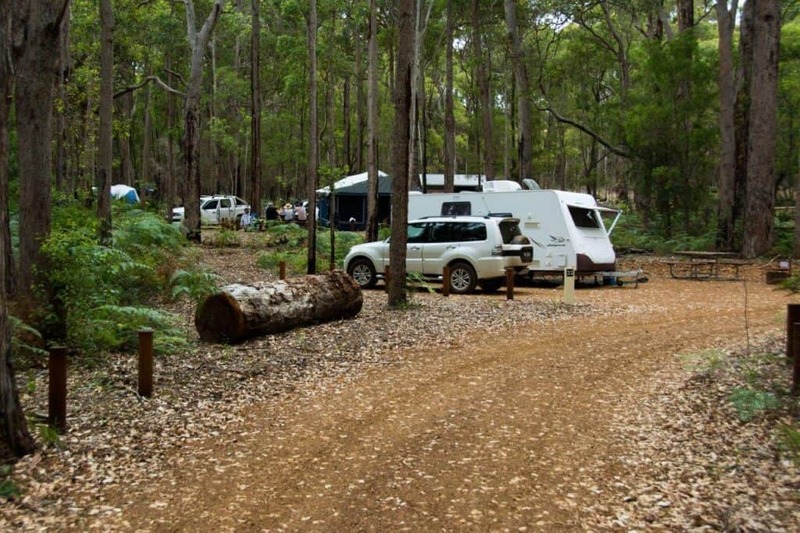 The camp site is accessible for both 2WD and 4WD vehicles. 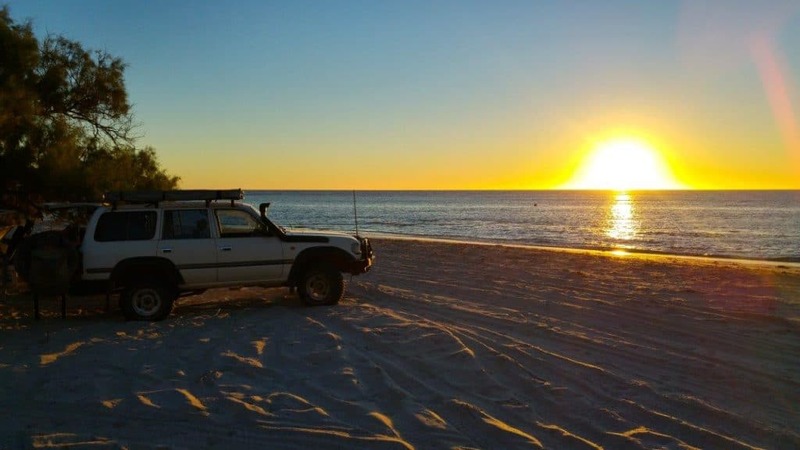 There are some magic places nearby including Cheynes beach and Waychinicup National Park (4WD required). Amenities consist of a drop toilet, and that’s about it. You can read more here – The wonders of Waychinicup. The sites are small, but its a beautiful place. There are still some pristine sections of WA where you can camp for free, and be left alone. 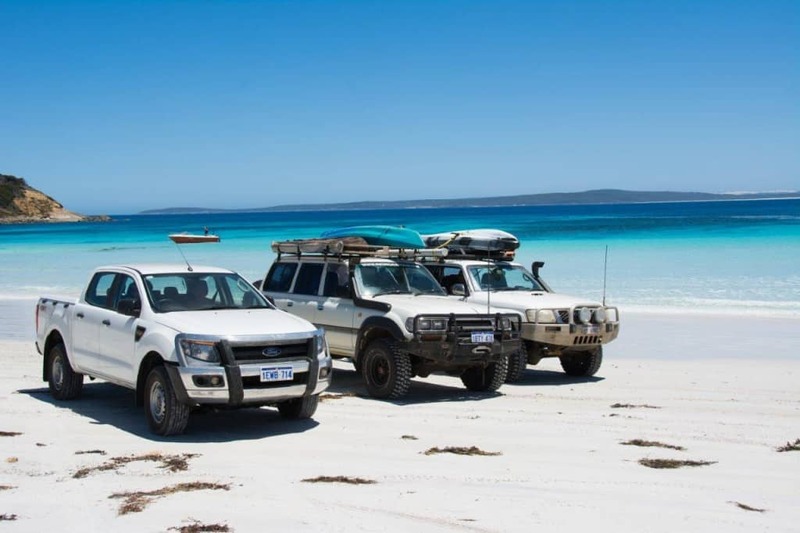 Bremer Bay has some of the best beaches in the world, and you can spend weeks down there exploring. 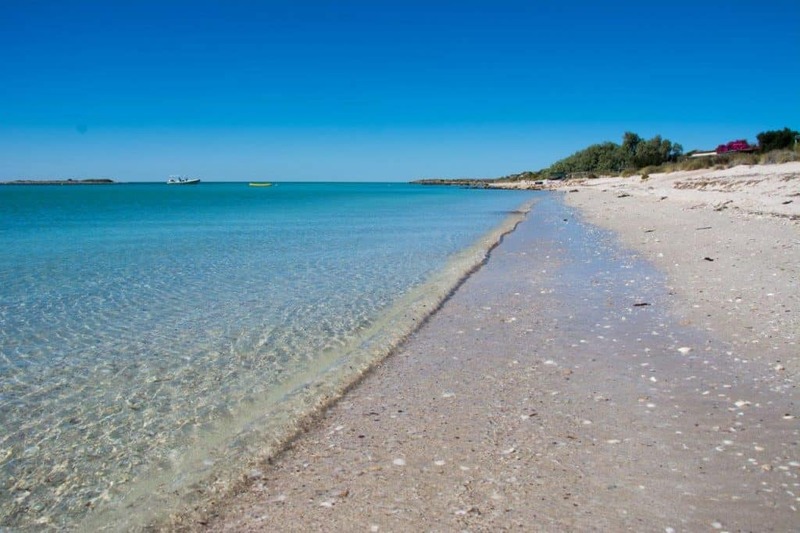 There are two caravan parks that you can stay at in town, or you can head away from civilisation and find yourself a slice of perfect beach. Obviously if you do this, there are no amenities (with exception of house beach and Point Ann). The fishing and diving in the area is absolutely amazing, but don’t tell everyone about it! Keen to see some more photos of Bremer? Check out our Christmas at Bremer Bay post. If you are looking for something a bit more remote, but without losing access to all of the amenities, Duke of Orleans Caravan Park is a great choice. With access to a huge range of little bays, there’s always somewhere to escape the wind. 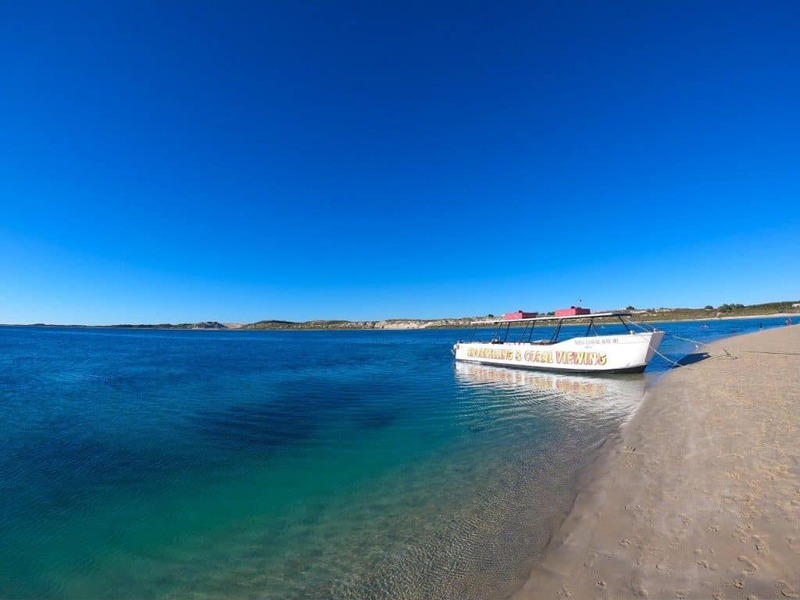 The beaches in the area are absolutely amazing, with fishing and diving very popular. You can access the caravan park in any rig you like, and its bitumen all the way. However, to see the best of Duke of Orleans, a 4WD is ideal. 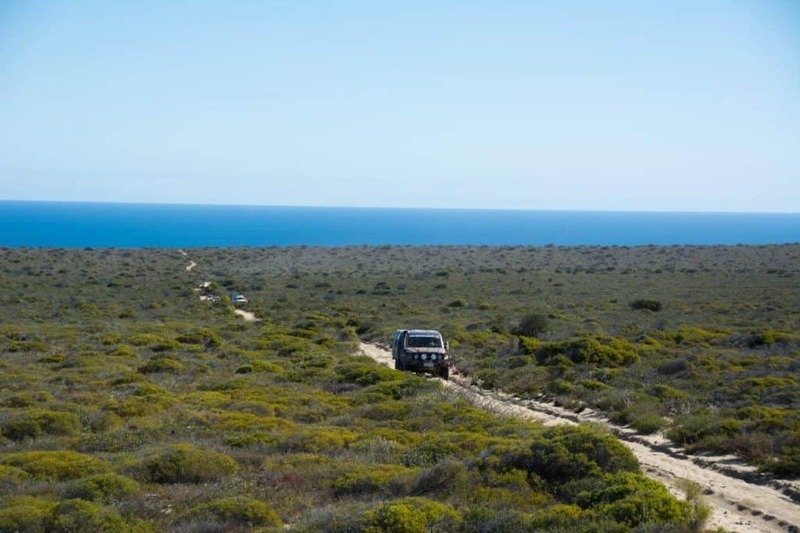 If you are driving around the area, you will need a national parks pass as you’ll end up in Cape Le Grand National Park. The Caravan Park has all the usual amenities, and charges around $43 for a powered site with two adults in peak season. 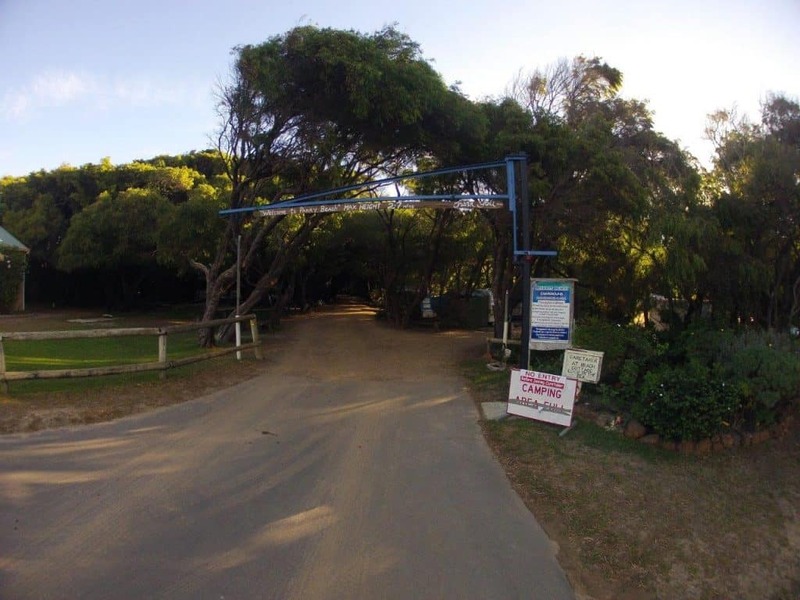 If you want to know more, have a read of this – Duke of Orleans Bay Caravan Park. Further east lies Thomas River, another DBCA camp site. This is split into two, with the bottom one being near the beach (Belingup), and the newer camp site up the hill a little (Yokinup). Both camp sites have toilets and non potable water, with the newer one having some nicer ones, and a great camp kitchen. You can access Thomas River by 4WD and 2WD, but the road in can have some corrugations. Access requires a national parks pass, or the usual $13 fee, plus $11 per adult per night. 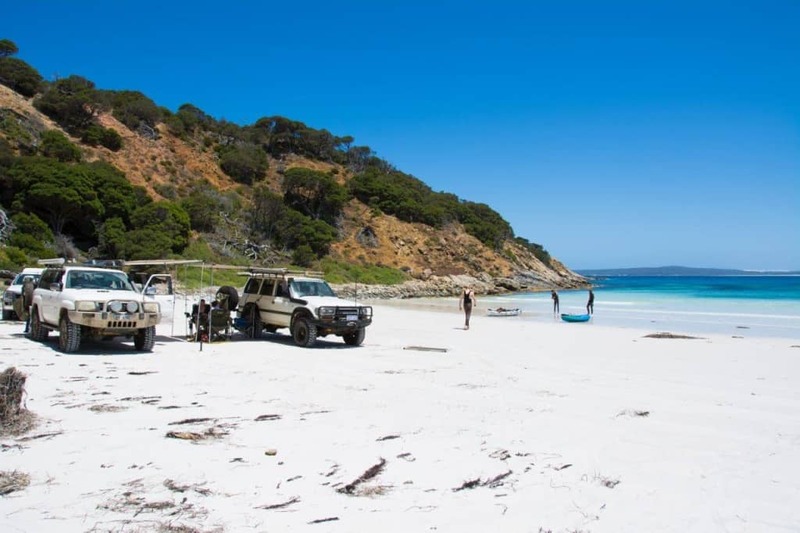 If you have a 4WD, there is nearly 30km of beach that you can drive up and down, with a few amazing bays in between. Watch the tides though, as you can get caught out. 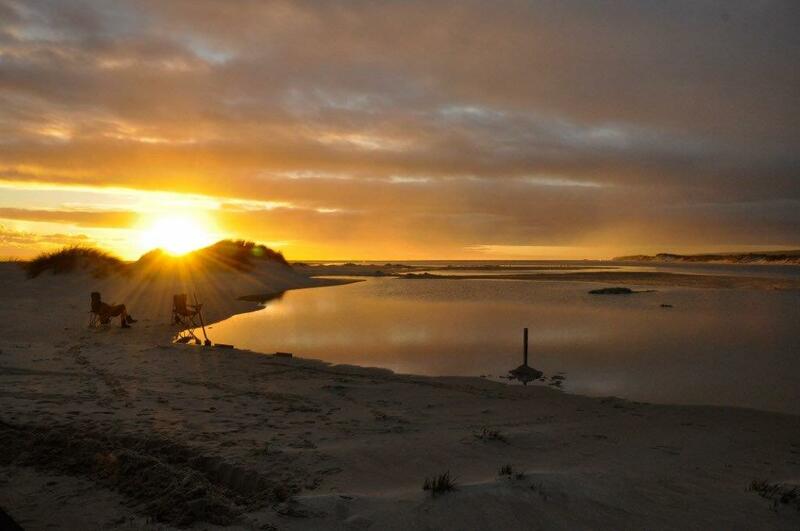 If you want more information, check this out – Thomas River in Esperance. 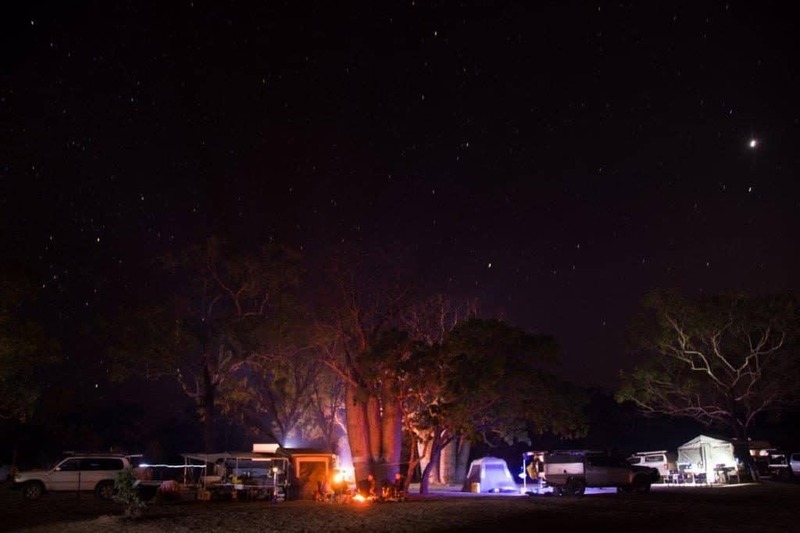 If you own a 4WD, and enjoy camping in the outback, the Holland Track is a fantastic trip with lots of great places to camp. The 4WD section starts around 60km out of Hyden, and pops out 80km from Coolgardie. 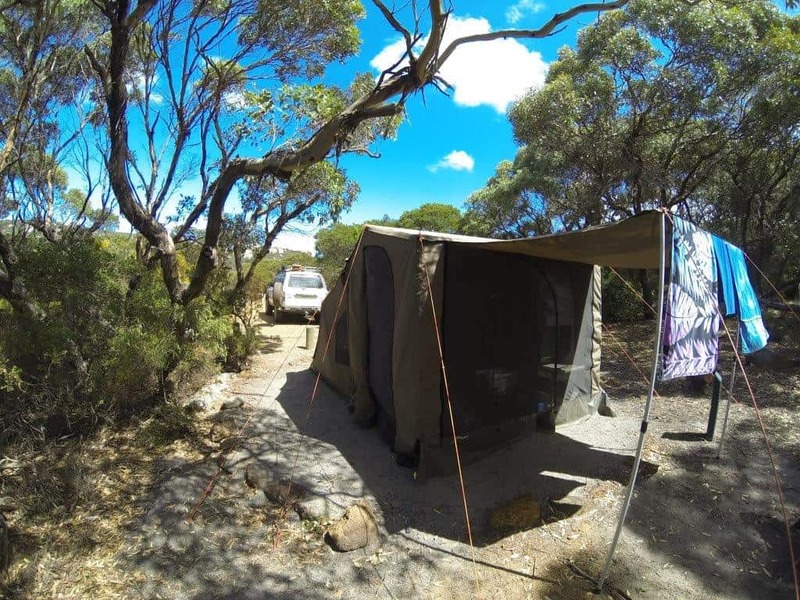 You can camp anywhere along the track where there’s space, but the more popular locations include Wattle Rocks, Sandalwood Rocks, Centenary Rocks, Mt Holland and Thursday Rock. There are zero amenities on the track, so you need to be 100% self sufficient. Firewood is a plenty, fires are permitted in season. Do the right thing, and you’ll be just fine. If you want more information, have a read of The Holland Track. Set back about 30km from Geraldton lies Ellendale Pool; a super picturesque camping destination along the Greenough river. There’s a dump point, BBQ’s, bins, a playground and flushing toilets. For $5 per vehicle per night, its a steal and truly worth it. This is a shire run camp site. The river is beautiful, especially on sunrise and sunset. There are warnings on various signs about swimming due to a bacteria that can exist if the water gets too warm. A lot of people still choose to swim; you’ll have to decide for yourself. 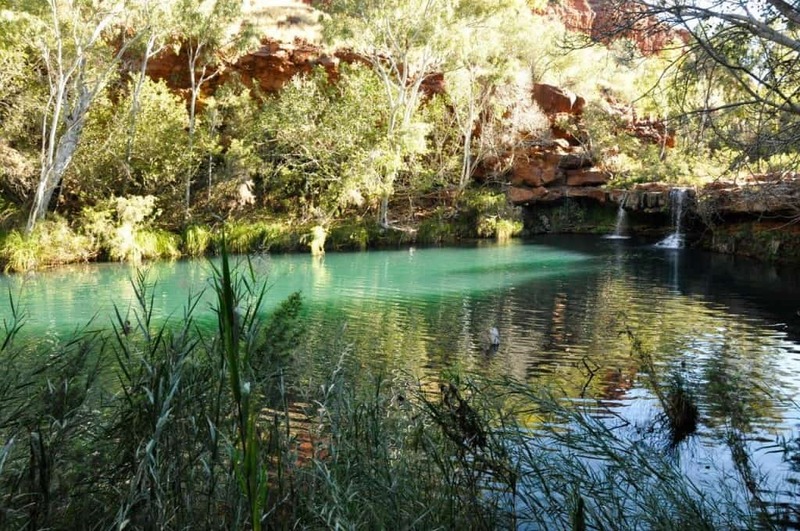 To find out more, have a read of this – Ellendale Pool; Geraldton’s hidden oasis. 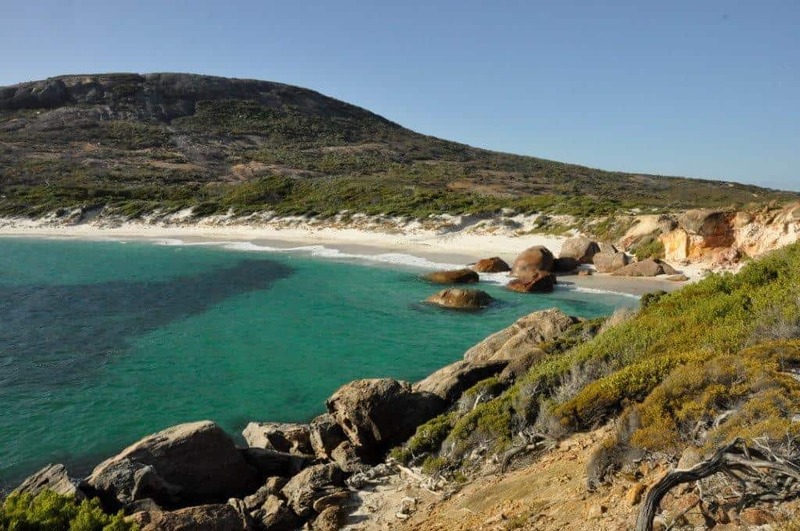 Horrocks is like many of the fantastic coastal towns scattered along the WA coast, and it has some great camping at Little Bay. This is beach side camping, with a few trees and partially surrounded by a giant dune and rocky slope. The bay itself is full of reef, and is a popular place for launching boats, fishing and diving. Camp fees are around $5 per person per night, and you get to watch the sun set every afternoon over the ocean. 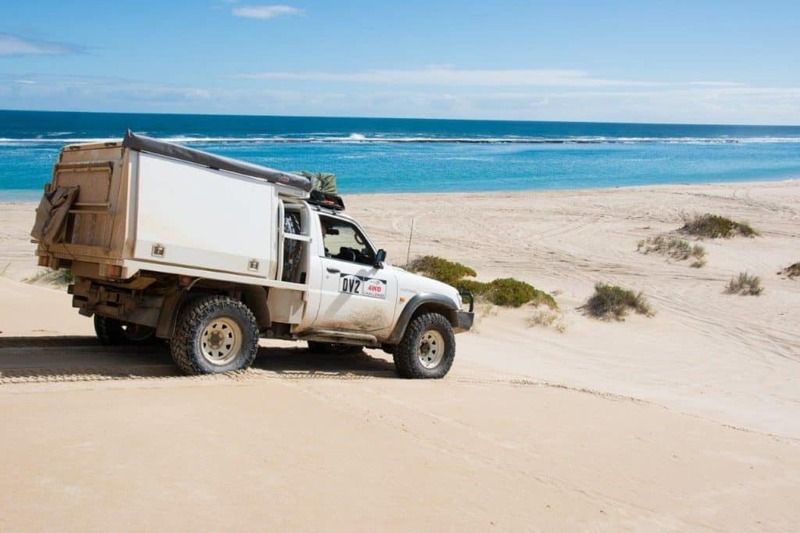 Access is 4WD only, as the beach and track in can be very soft. There is a drop toilet, but nothing else. That said, you are 5 minutes drive into Horrocks, where you can get the necessities as needed. 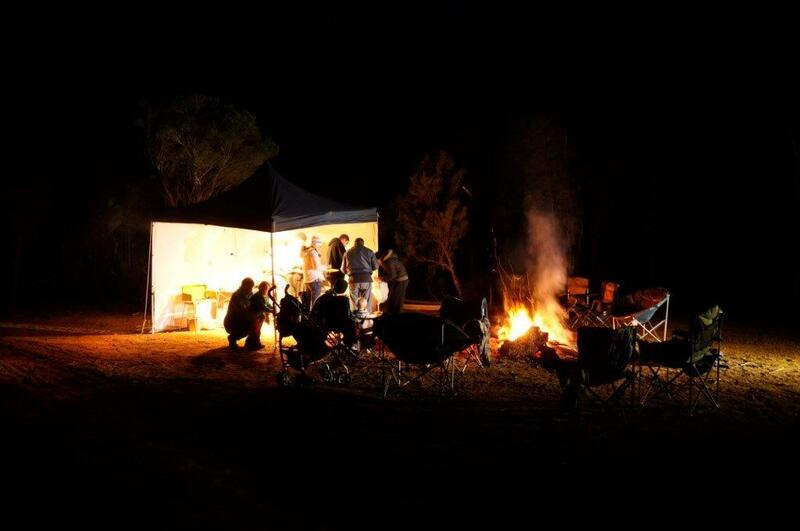 Station stays are one of the best opportunities for camping in Australia, and Linga Longa is a perfect example of this. 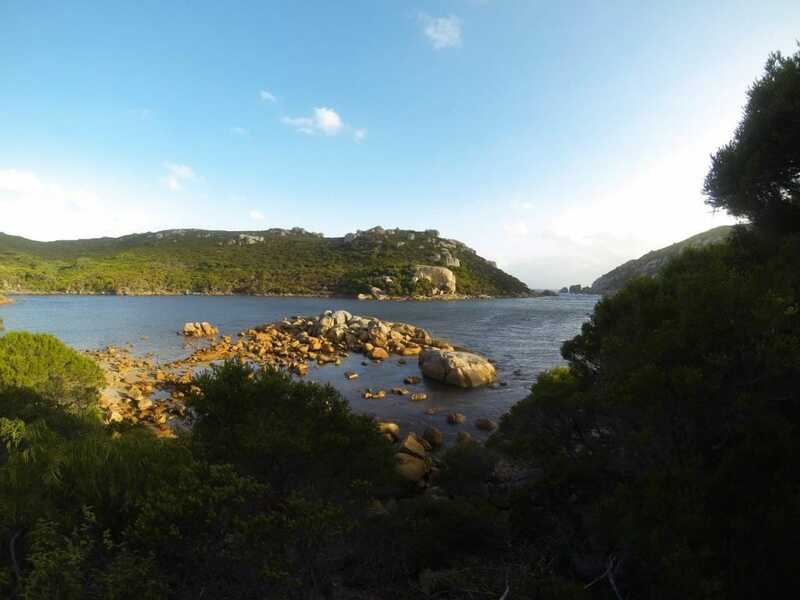 Located not far out of Port Gregory, Linga Longa at Lynton Station is a magic camp ground. 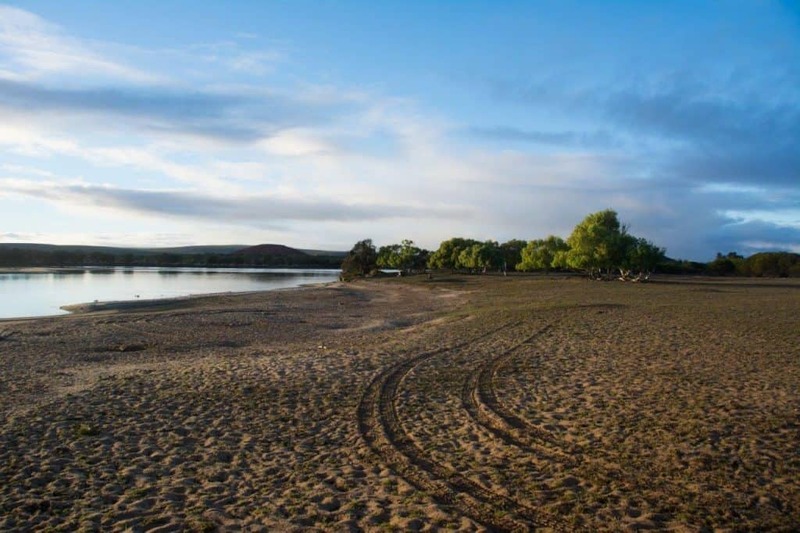 It’s located just across the road from the beach, and right where the Hutt River flows out. The sand at the beach is pink, and the Pink Lake (which is unbelievable) is just up the road. The station itself has a long and interesting history, and is close enough to Kalbarri, Hutt River Province and Lucky Bay for a day trip. Camping costs are $10 per person per night, and for that you get a great camp kitchen, flushing toilets, hot showers, and more room to camp than you’ll ever need. 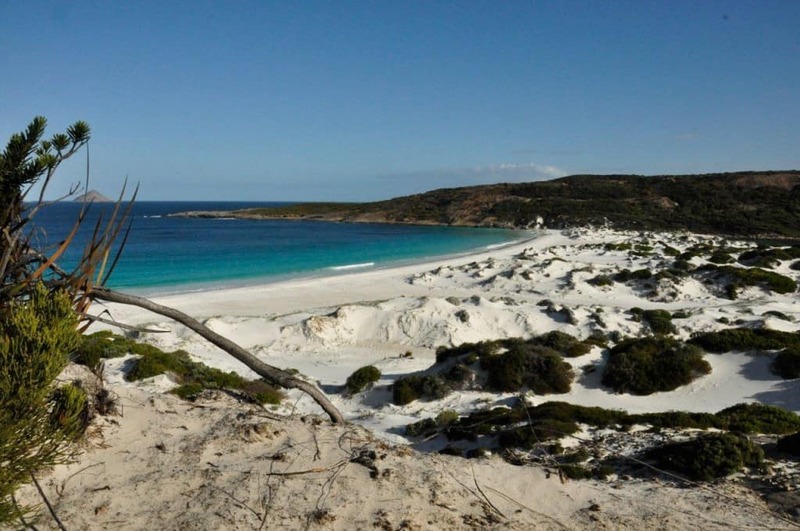 There are two Lucky Bay’s in WA, and this ones not far from Kalbarri. It’s now run by the DBCA, but is an absolutely brilliant place to stay. 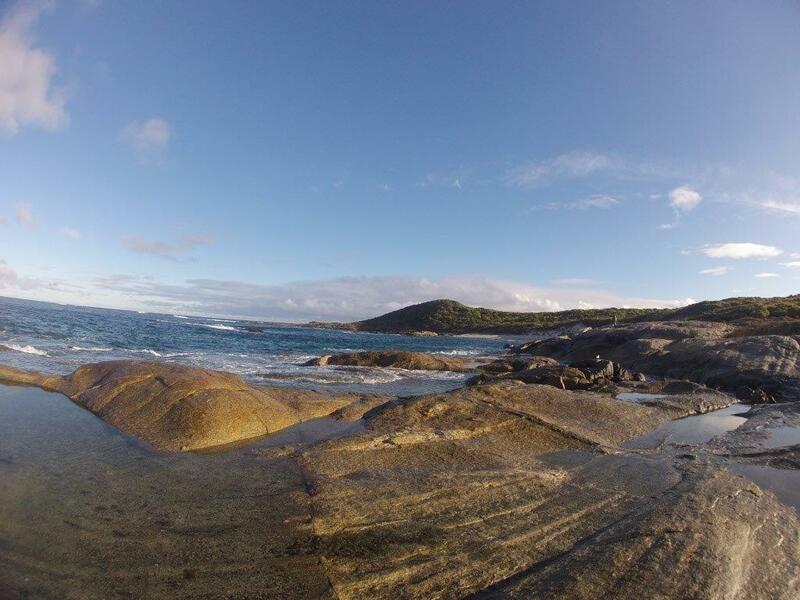 You can camp near the toilets and dump point (and you have to without a chemical toilet), or you can camp right on the beach next to one of the most beautiful bays and reef’s you’ll ever see. There’s nothing here but a beautiful beach, reef, fishing and a huge dune system, and that’s exactly why so many people love it. A short drive up from Lucky Bay and you hit Wagoe, another fantastic station stay. 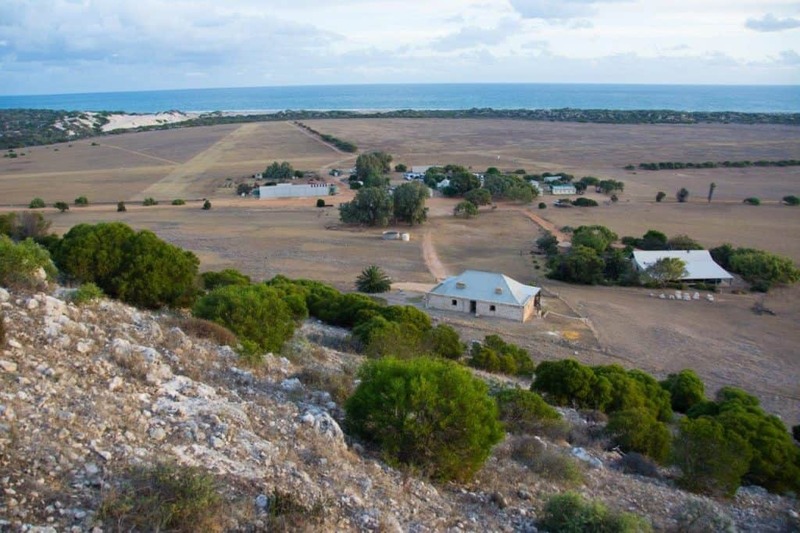 If you’ve ever wanted access to a property that’s more than twice the size of Singapore, the Murchison House Station is for you. 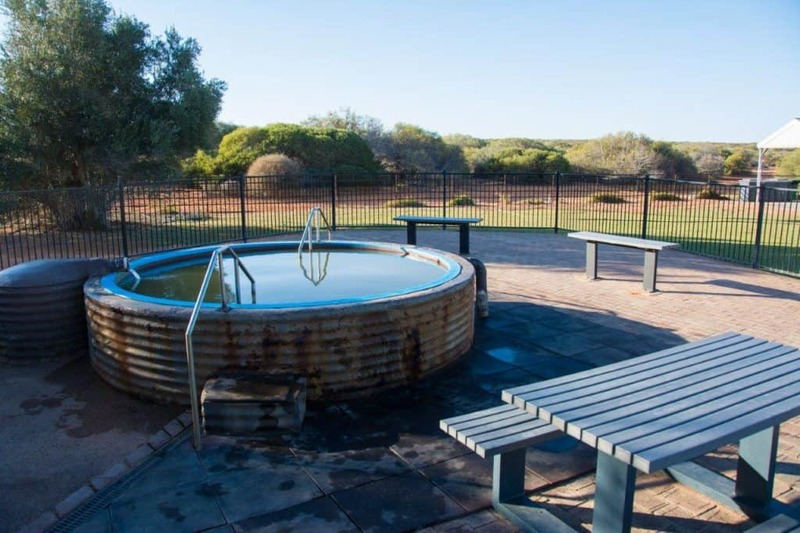 Located mainly on the north side of the Murchison River in Kalbarri, this station is a brilliant place to stay at. Everyone visits Kalbarri, and doesn’t realise you can actually see the other side if you want. 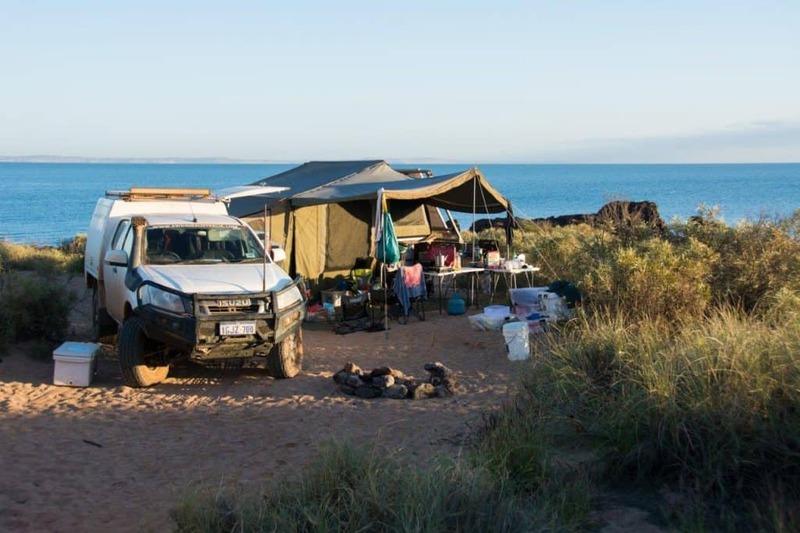 Camping ranges from sites along the river inland, or you can head out and along the coastline, and anywhere in between. This is an absolutely huge property. There are toilets and showers at the homestead, which you can come back to use if you are camping elsewhere. It’s $12.50 per person per night, with children under 16 free. If you are heading north of the river though, there is a $50 access fee too, which goes to managing the property. The Shark bay region is nothing short of mind blowing. 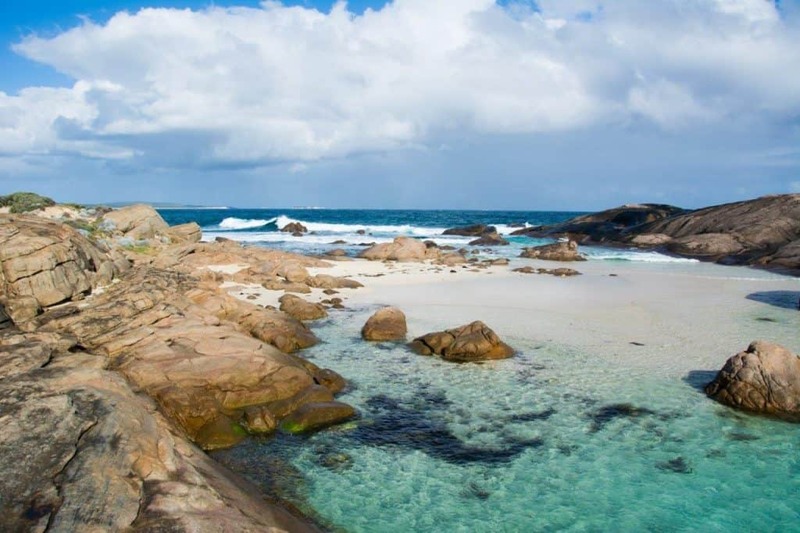 Head to the very top, and you’ll enter Francois Peron National Park; one of the most beautiful places in WA. This is 4WD access only, as the tracks are soft and sandy. The area is managed by the DBCA, and has a number of fantastic camp grounds on both sides of the peninsula for $11 per adult per night. You need a national parks pass to enter here, or you can pay the $12 entry fee instead. 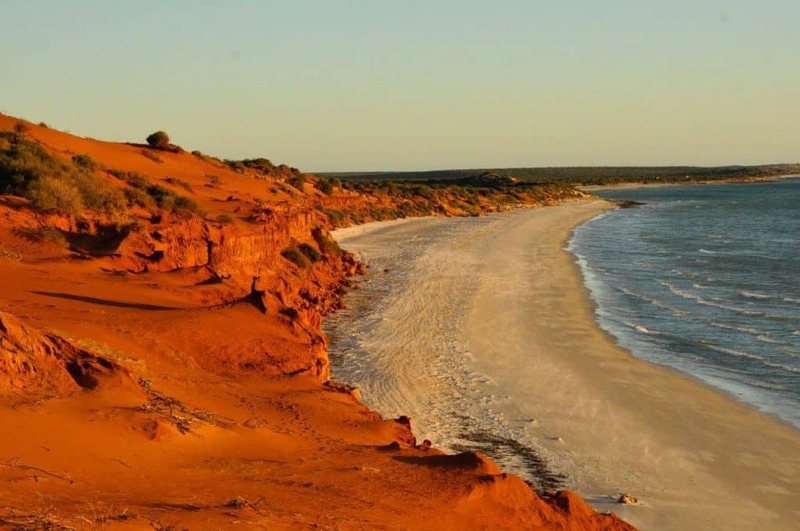 I would go purely for the beauty, but its got great fishing and diving, and 4WD tracks to enjoy. Most camp grounds have toilets, BBQ’s, good sized sites and are very close to the water. The red sand is absolutely mind blowing; to see more, have a read of Francois Peron National Park; paradise at Shark Bay. There’s even a natural artesian hot spring on the way in! Across the bay of Denham lies Steep Point; a magic place to visit that is hugely popular for fishing. You can camp at Shelter Bay, or the Oven, or at False Entrance. Again, the area is run by the DBCA, and you need a national park pass. Camping prices are $8 per adult per night, and you have access to a drop toilet. Please be aware that this area is booked out for months in advance. You can book online up to 180 days in advance, and places book out very quickly! This is a pretty decent drive, and requires a 4WD with deflated tyres. 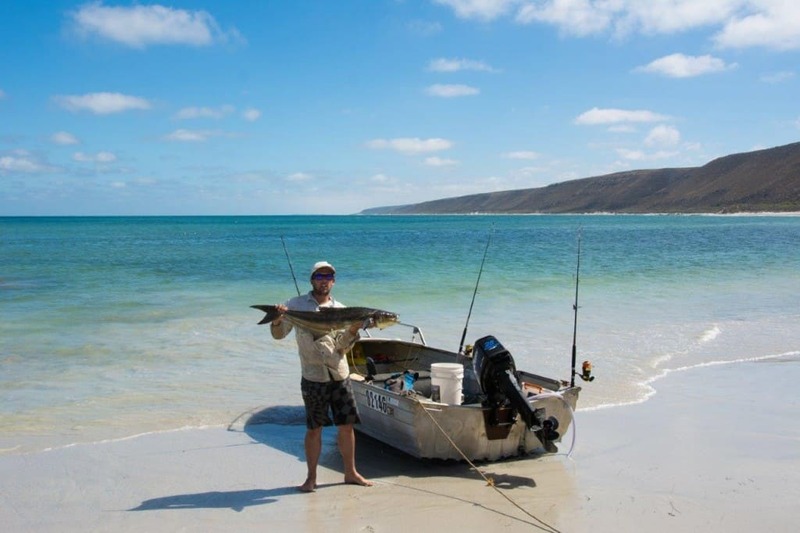 The fishing in the region is second to none, and its often referred to as Australia’s best land based fishing. Fishing from the beach is usually reasonable, but the action comes from fishing off the cliffs with big pelagics regularly caught, or out in a boat. Keen to know more? Check out Steep Point; the ultimate adventure in WA. Steep point is unbelievable. 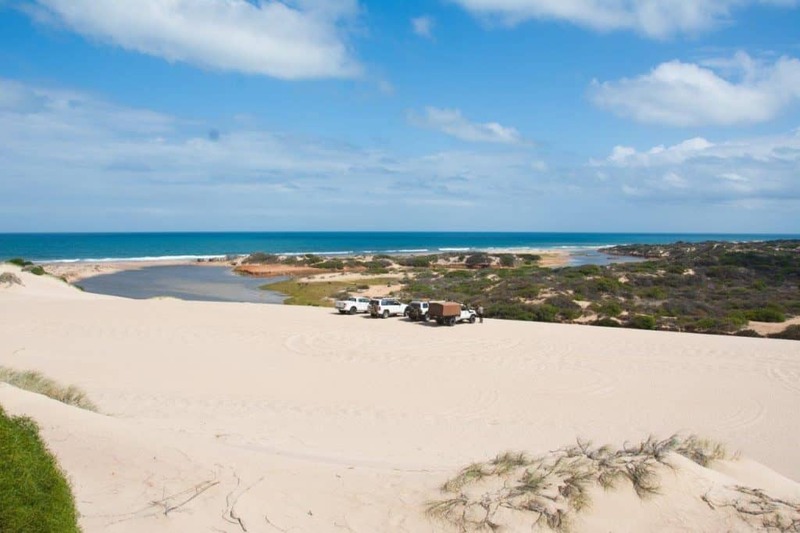 However, if you want even more adventure, you can hop on a barge at Steep Point, and take your 4WD and trailer (up to a certain length only!) 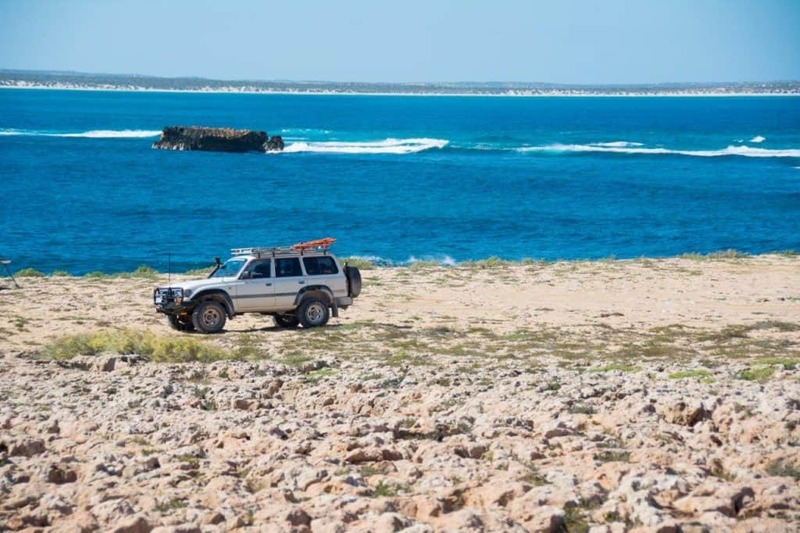 across to a pristine, tourist free adventure paradise known as Dirk Hartog Island. This is jointly managed by the Ward family and the DBCA, and there are some fantastic camp sites spread around the island. Facilities are non existent, except for the homestead where you can have hot showers and flushing toilets. 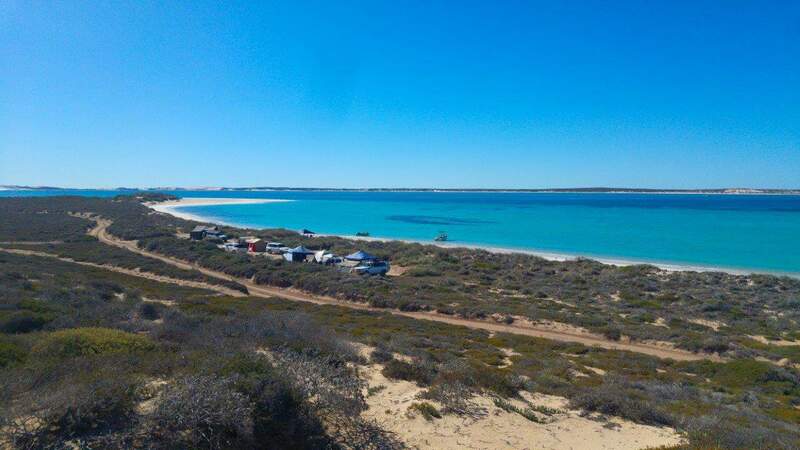 To get to Dirk Hartog Island, you have to pay a substantial amount of money for the barge, and then camping fees range from $20 per adult for the DBCA sites and up, depending on where you stay. This is not a cheap camping exercise, but there’s nothing else that comes even remotely close. I won’t go into pricing here, as there are too many variables. The homestead, which you can camp near. 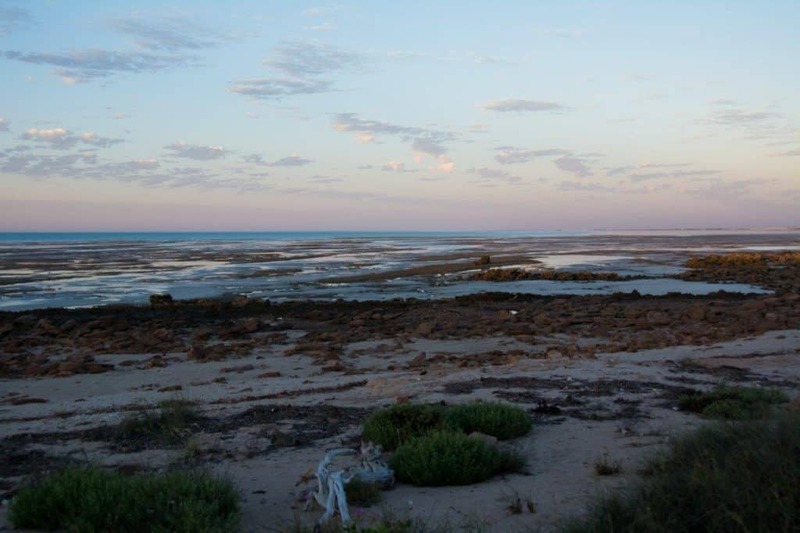 Another fantastic station stay in WA is Warroora, not far south of Coral Bay. In peak season there after often huge rows of vans parked metres away from the beach, all soaking up the unbelievable camping. The reef comes in extremely close to the beach in places, which makes the fishing, snorkelling and swimming absolutely fantastic. 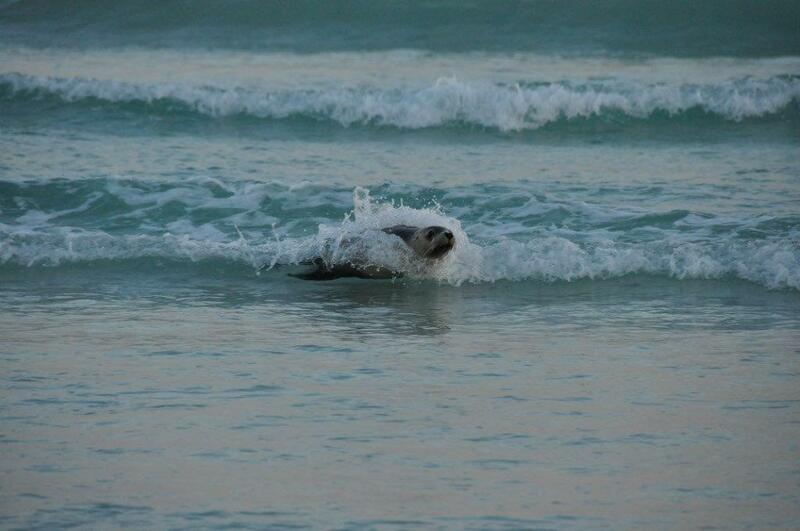 Turtles, whales, sharks and other amazing marine life are commonly seen. Chemical toilets are required here, or you can hire them from the homestead. Camping fees are $10 per adult per night, with kids under 16 free. You can get into Warroora station with a 2WD vehicle, but some of the tracks require a 4WD. Limited potable water is available, as are artesian showers. Asides from this, you have to be 100% self sufficient. 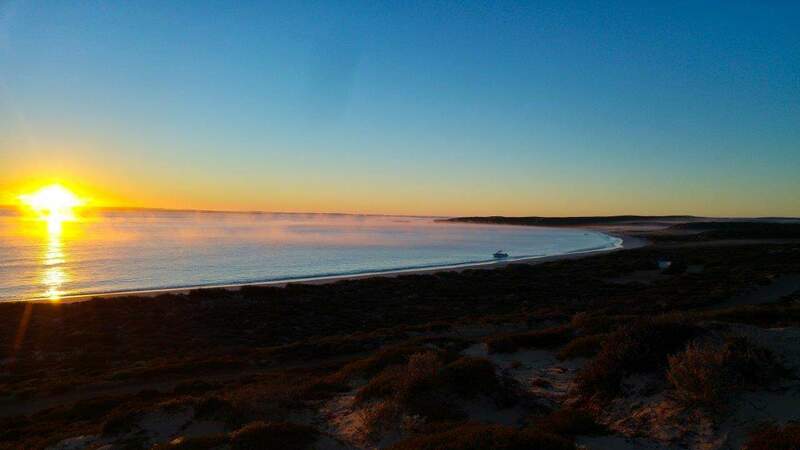 One of the best places to enjoy the Ningaloo Reef is at Coral bay. The bay itself is protected, beautiful and stunning underwater. You can literally jump in at one end of the bay and be carried with the water currents around the corner and back to the beach. Fish feeding is a regular occurrence, and these are big fish that swim between your feet! 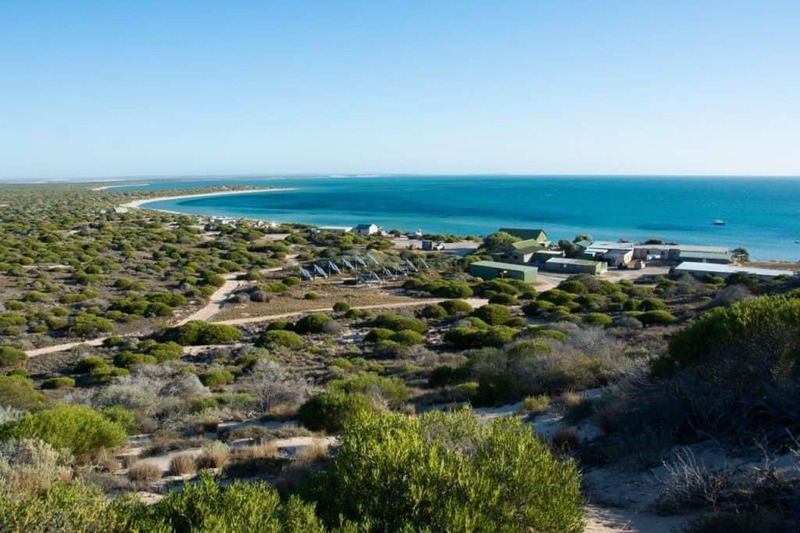 There are two caravan parks in Coral bay, and no other camping options. Coral Bay has plenty of great attractions nearby, along with a heap of fishing charters, boat tours, manta ray and whale shark swims. Access can be had by all types of vehicles; its a bitumen road all the way up. If you want more information, have a read of this post – Coral Bay. 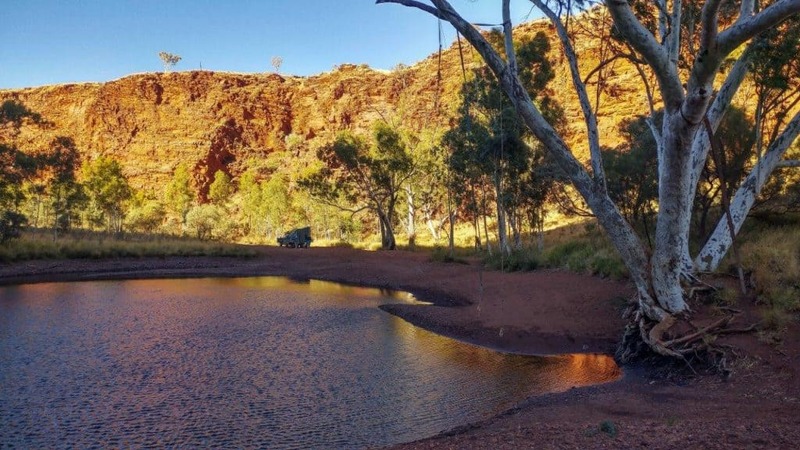 An amazing camping destination in the Pilbara is Kalgan’s Pool, just out of Newman. 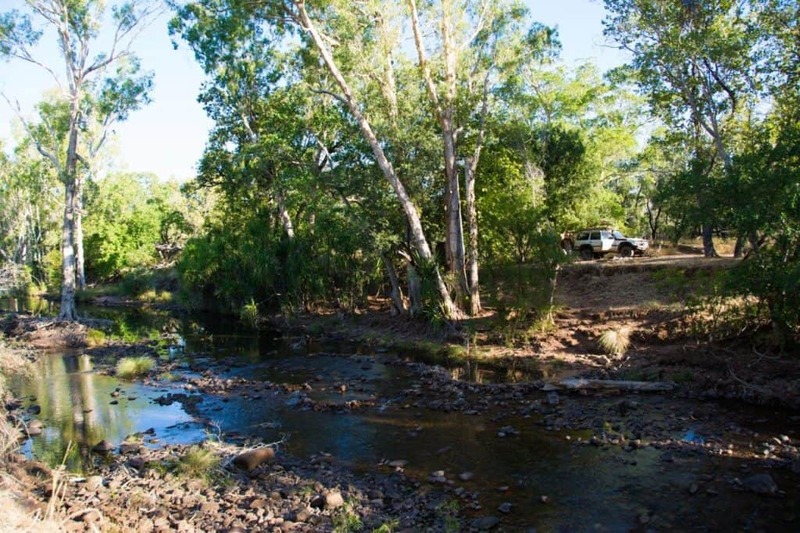 This is 4WD access only, with zero amenities but gives you the ultimate bush camping experience next to a beautiful water hole. The 4WD track on the way in is solid but involves a lot of driving through water usually around 500mm deep. Camping is free, but you should fill in the permit to drive on the mine road for a gold coin donation in Newman. 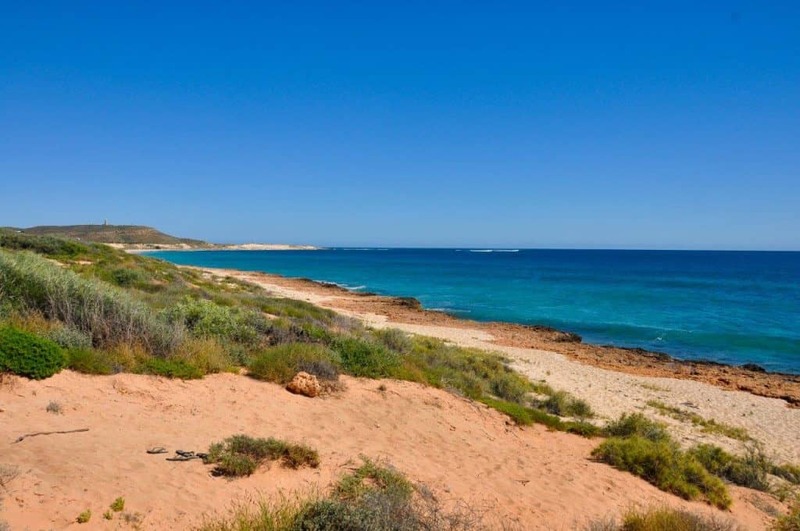 Another set of sites along the Ningaloo Reef can be found in Cape Range National Park. 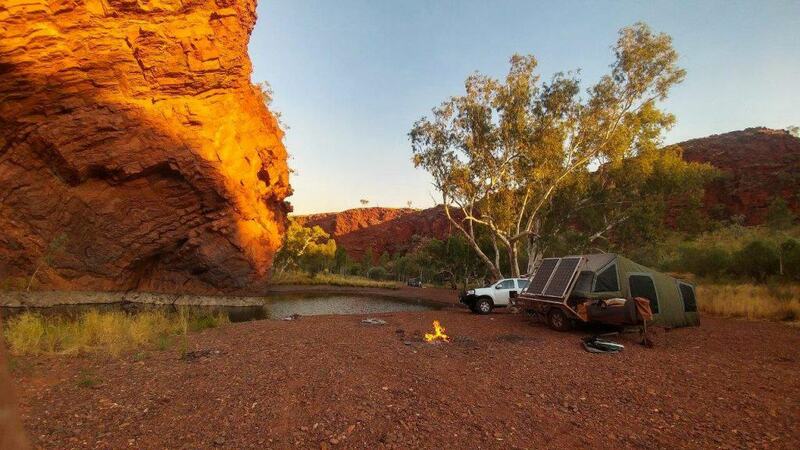 These camp sites start just south of Yardie creek, and are scattered for some distance further north. Again, they are run by the DBCA, and fees are $11 per adult, per night. This is also a National Park, which requires the park pass. There’s toilets available, and that’s about it. It’s around a 50km drive back into Exmouth, where all of your amenities are available. 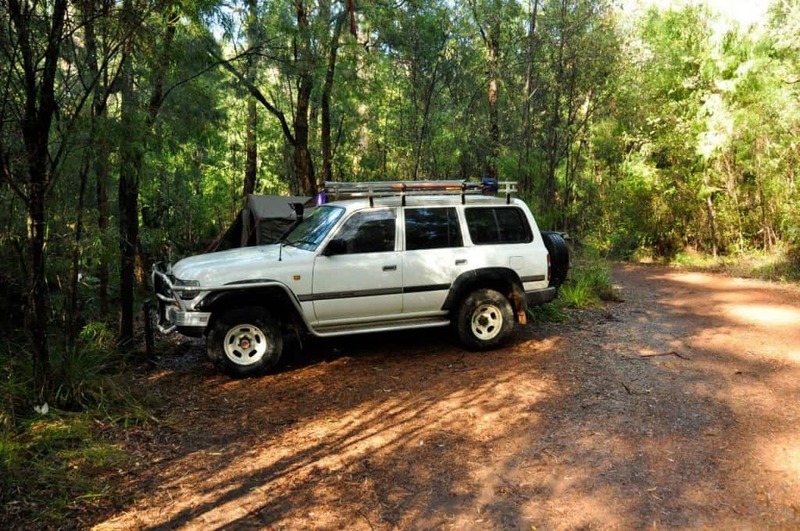 These sites are accessible for 2WD vehicles (with exception of those south of Yardie Creek). If you asked a large group of people what their favourite national park in Australia is, you’d get a significant number that would say Karijini National Park. 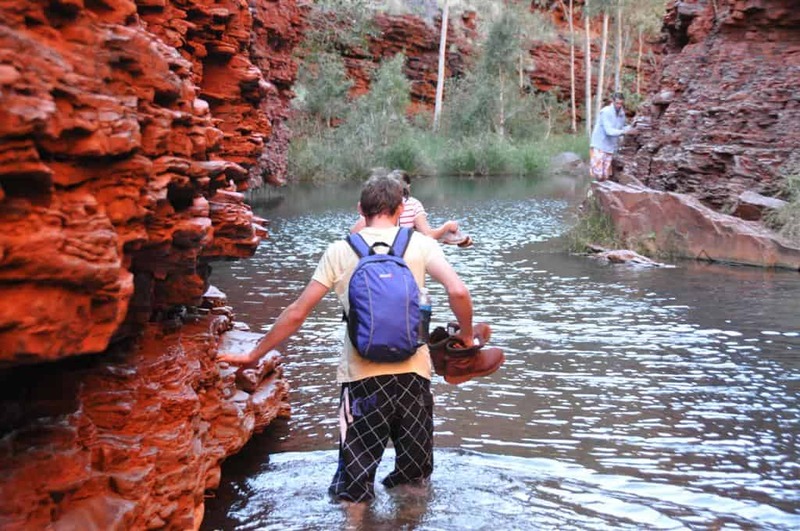 Located in the Pilbara this park is full of rich red rock carved out into the most amazing gorges you’ve ever seen. There’s easy walks through the gorges right through to adventure climbing and everything in between. The national park is almost entirely gravel roads, and is accessible for all types of vehicles, but the roads can get quite corrugated. Camping is done at Dales camp Ground, or the Eco retreat (on the other side of the park). Hot showers can be had at the visitors centre for a gold coin donation. 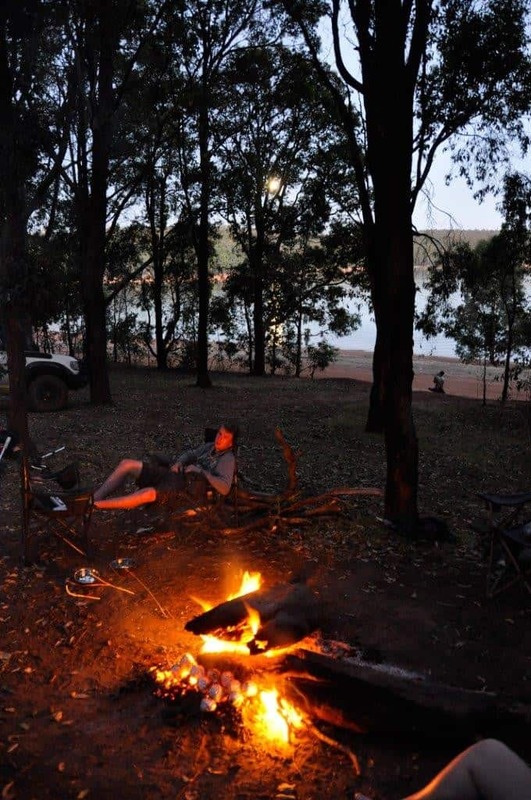 Dales Camp Ground has BBQ’s (in the centre of the camp ground) and a number of toilets, and is within walking distance of Dales Gorge, Fern Pool and Circular Pool. Dales will soon be bookable online, so keep an eye out. Karijini is nothing short of unbelievable, and you can read more here; Karijini; the best National Park in Australia. Moving even further north lies Cleaverville, only 41km from Karratha. 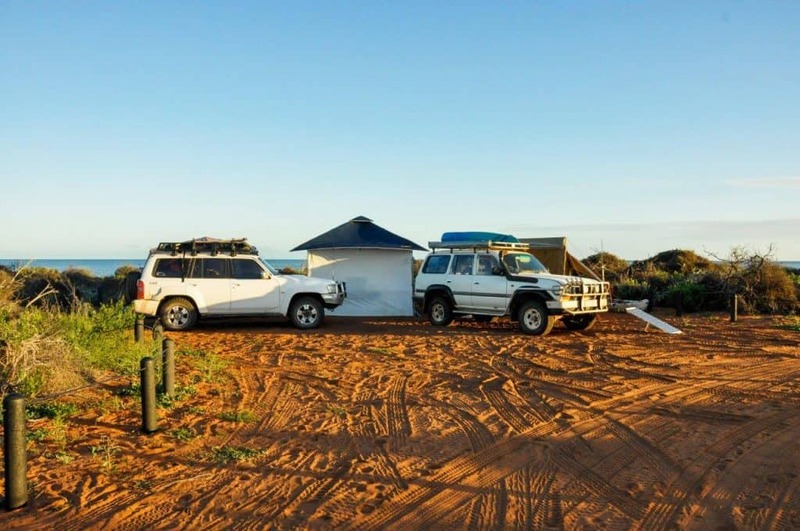 This is an incredible coastal camping location that is run by the shire of Roebourne via volunteers. Camp fees are around $10 per vehicle per night, but they do change depending on how long you stay. This fantastic place is bounded by two creeks that offer unbelievable fishing, and lots of entertainment. You must bring your own chemical toilet, but bins and dump points are provided. Dogs, and fires are permitted, as are generators. There is a fair chunk of land to camp on, and providing you stick to the designated area’s you’ll have no problems. If you need water, or any other supplies Karratha is a big town that has everything you need. This camp site is accessibly by 2WD, but the road is gravel (and can be a little rough) and you are more limited to where you can camp. Keen to know more? Have a read of this – Cleaverville. A bit further along from Cleaverville is Cape Keraudren, another amazing coastal camp ground, that shares a number of similarities. It also has a couple of creeks, but is much larger and has a few more facilities. Good toilets are spread around the area, and you can get good quality drinking water from a bore near the rangers house. There are plenty of bins, and fires are permitted in season. Would you believe its also got WIFI in some areas?! Access is fine for both 2WD and 4WD vehicles. That said, a 4WD will allow you to access a few more spots. Camping is $10 per adult per night, but you also have to pay a $12 entry fee. 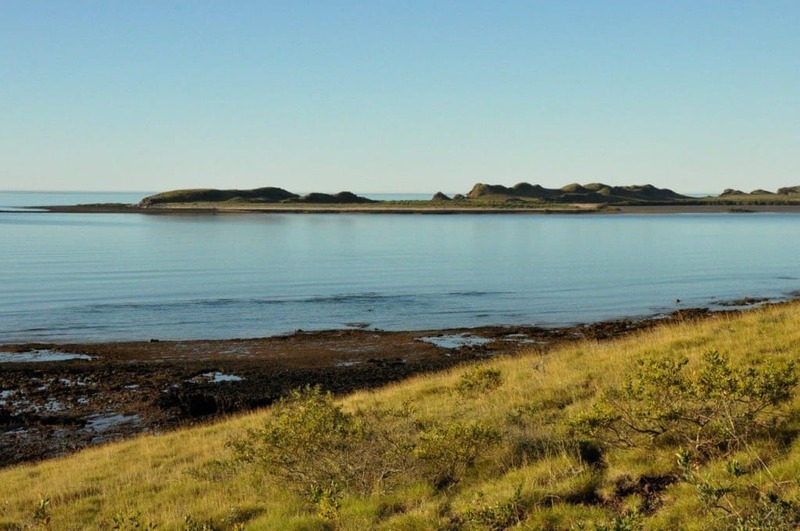 If you want to know more, check this out – Cape Keraudren; camping on the Pilbara coast. Moving onto the Kimberley, these are some of our favourite spots. 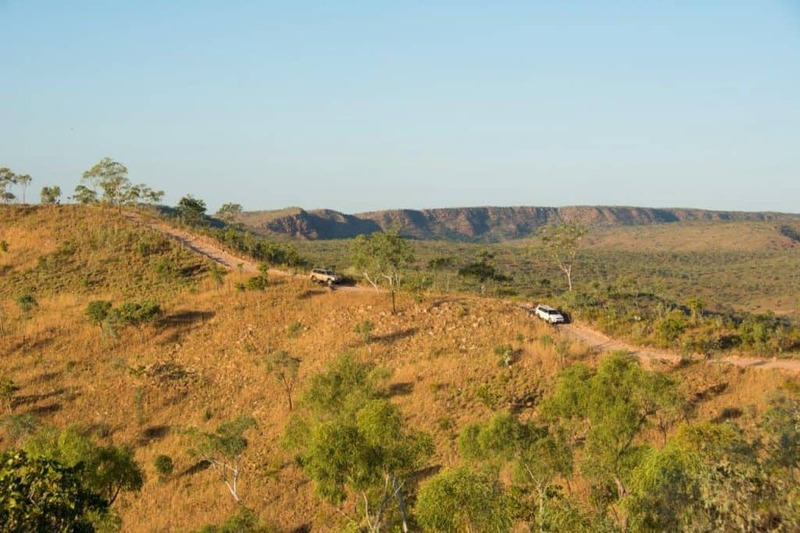 If you are chasing information about where to get fuel, what to stop and see, where to camp, where to get water, tours that are worth doing and heaps more, check out the Ultimate Kimberley Guide. 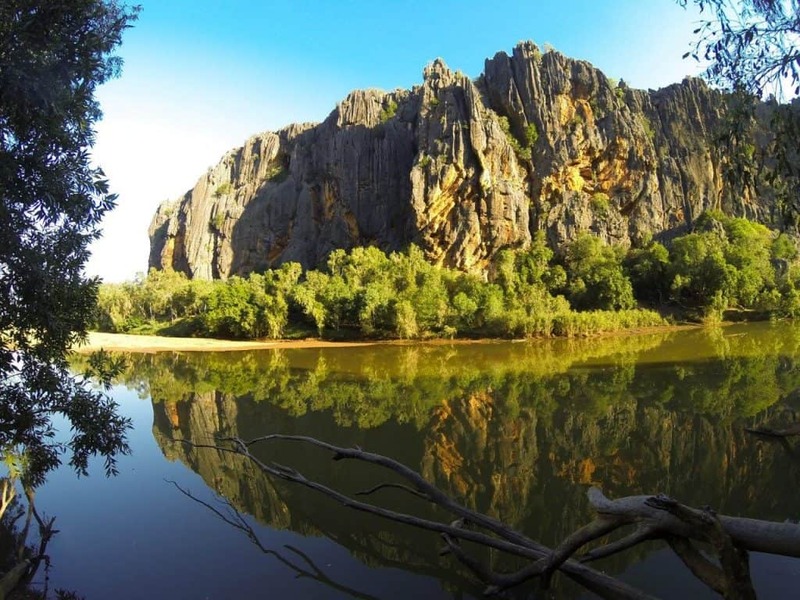 The first main attraction along the Gibb River Road is Windjana Gorge, and its fantastic. Watching the sun go down against the ancient cliffs is truly unbelievable. The camp ground is run by the DBCA, and is basically a big, open grassy area with lots of flushing toilets and some solar showers. Of course, the main attraction here is the gorge, and the freshwater crocodiles that inhabit it. Not far down the road lies Tunnel Creek, which is another amazing place to check out. 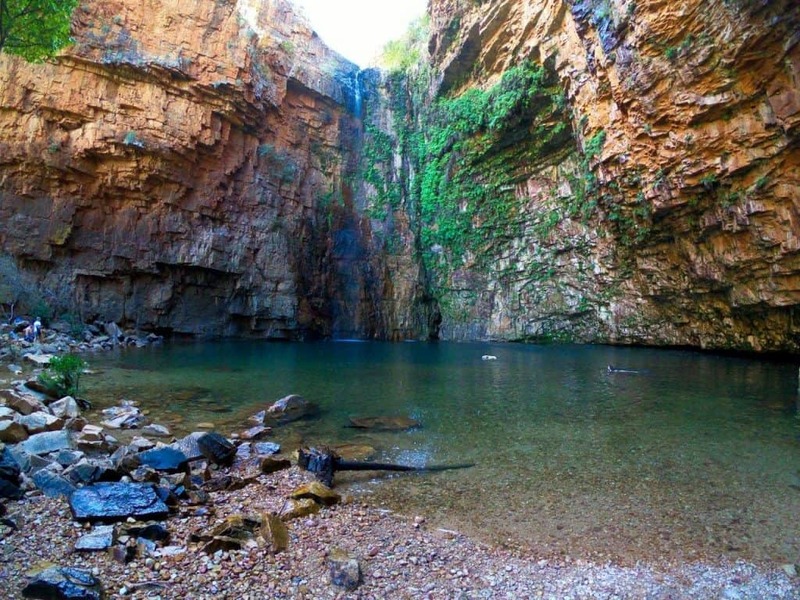 Windjana Gorge is 2WD vehicle accessible (although the DBCA recommend 4WD only! 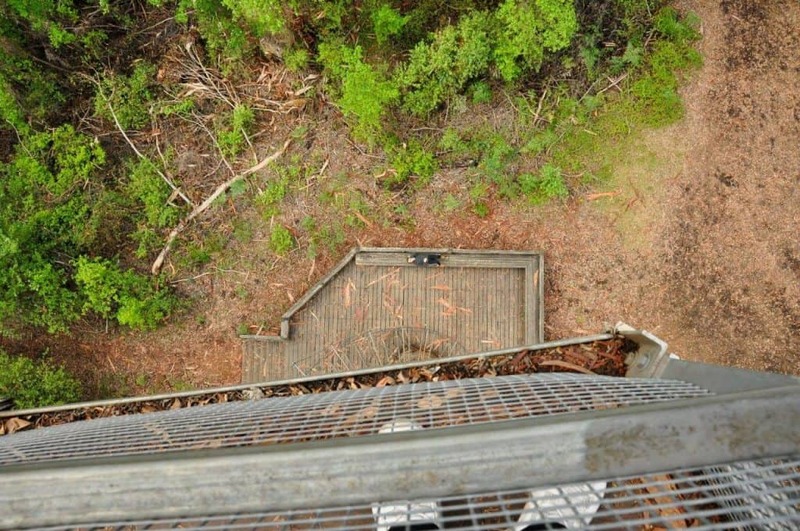 ), and can be accessed from the south, or off the Gibb River Road. That said, the gravel roads can be quite rough, and a 4WD is a much better option! You’ll need a parks pass to enter here, and camping is $13 per adult per night. 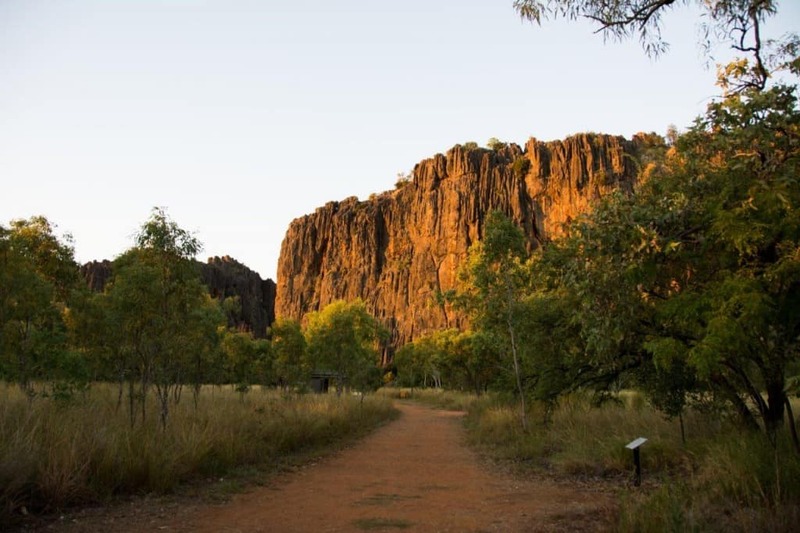 If you want more information, have a read of this – Windjana Gorge and Tunnel Creek. Roughly half way along the Gibb River Road lies Mt Barnett; a major fuel and service stop. If you want to see another spectacular gorge, and stay a few nights call into the roadhouse, and pay your fees. A short drive down to the gorge and you arrive at a big open area with lots of boab trees, not far from a beautiful river. There are flushing toilets, solar showers, rubbish bins and you can have fires in season. The walk to the gorge is a fair hike, but even relaxing around camp near the river makes this place totally worth it. You don’t need a parks pass for here, but you do pay an entrance fee of $8, and then $14.50 per adult. The last (and possibly best) attraction along the Gibb River Road is El Questro Station; a giant station with its own little community. This place is huge, and in peak season more than 800 people camp on the property each night. With this in mind, the best thing you can do is book a private camp site along the river, a long way in advance. The first 5 camp sites are the best, as they allow you access to the river, where you can safely swim and enjoy. You are away from the hustle and bustle, have access to a drop toilet and can drive into town (not too far away) for your showers and flushing toilets. You don’t need a parks pass here, but you will have to pay an entrance fee, and the private sites start off at about $40 per adult per night, and work their way down to around $28 per night if you stay 4 nights or more. Yes, it is expensive. This station is absolutely incredible; with more beautiful gorges than you can see in a couple of days, great 4WD tracks, amazing fishing and even its own hot springs. There are plenty of tours that can be done too, from horse riding, to helicopter rides, barramundi fishing, boat cruises and more. Want to know more? 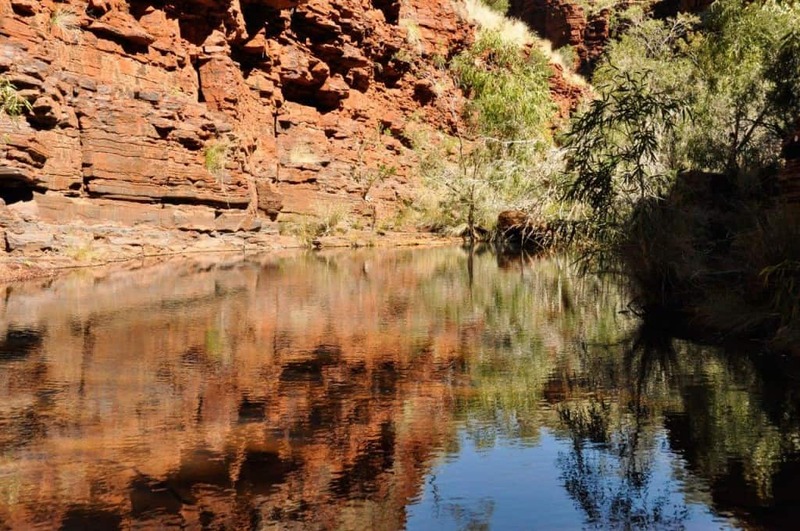 Read this – Is El Questro Station worth a visit? 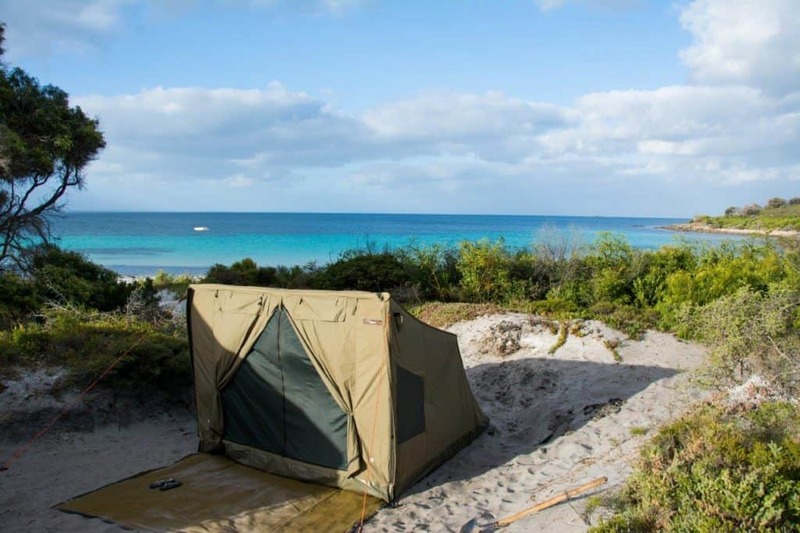 Well, that’s it – 30 unbelievable camp sites in Western Australia. If you’ve enjoyed the post, please share it around. If I’ve missed any other great places, let me know below! 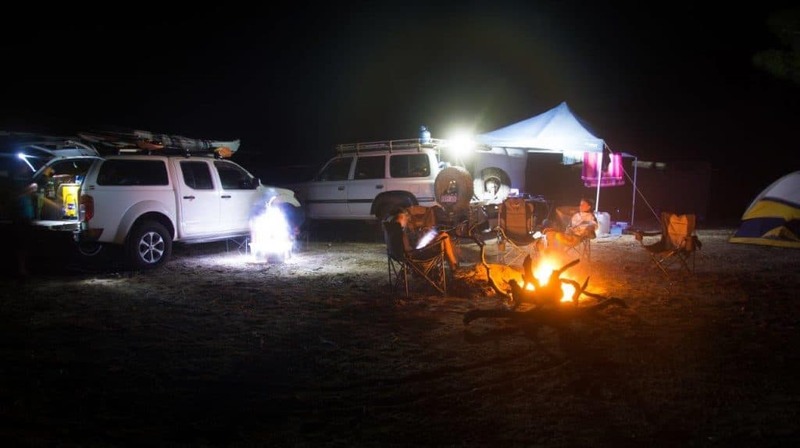 Absolutely the best West Australian camping post I have ever come across! Well done and thank you. Great content and good detail in what’s important when considering your next camp spot. Having camped at a number of the spots you noted in the SW, your info hits the spot and I’m excited to follow your lead towards more of the Northern sites. Thanks a lot. I’m glad you liked it. We have an amazing state. Dwellingup, Waroona, Sandy Cape, Jarrahdene, Parry Beach, Duke of Orleans, Thomas River, Ellendale Pool, Little Bay (if you can cope with very soft sand), Linga Longa, Lucky Bay (same comment about sand), Murchison House Station, Waroora Station, Coral Bay, Cape Range, Karijini, Cleaverville, Cape Keraudren, Windjana Gorge and Manning Gorge. Dwellingup, Waroona Dam, Sandy Cape main camp ground, Jarrahdene, Parry Beach, Duke of Orleans Bay, Ellendale Pool, Linga Longa, Coral Bay, Cape Range, Karijini, Cleaverville and Cape Keraudren are probably the only ones you’d get to.